trivago has reviewed the data and tallied the scores, and it’s time to reveal the hotels that travellers consider to be the very best — the winners of the trivago Awards 2018. All winning hotels receive exclusive award-indicators (certificates to put on display, widgets for their websites and social media pages, and more) that can increase their visibility and guest appeal online and offline. And the single top hotel in each category also gets to take home a coveted trivago Awards trophy along with a winner’s badge for their hotel profile. 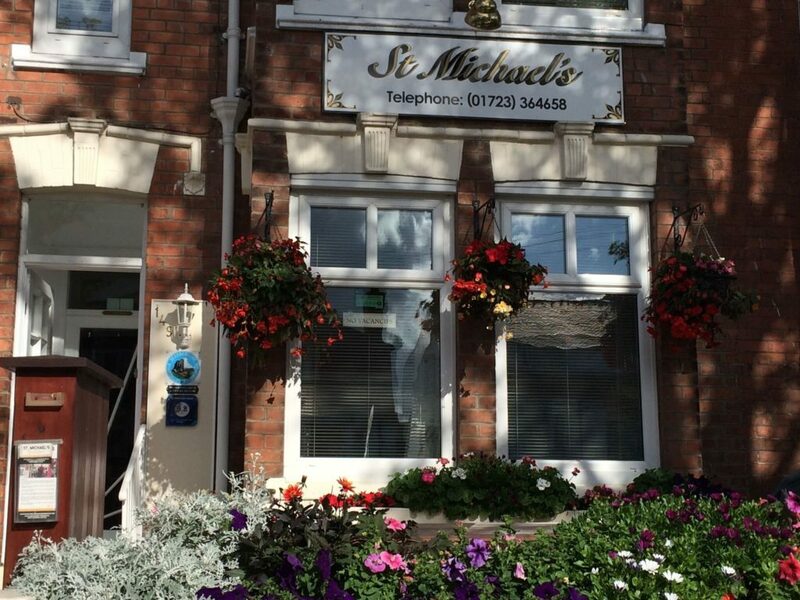 This year, the best value for money in the UK can be found at St Michael’s Guest House in Scarborough. 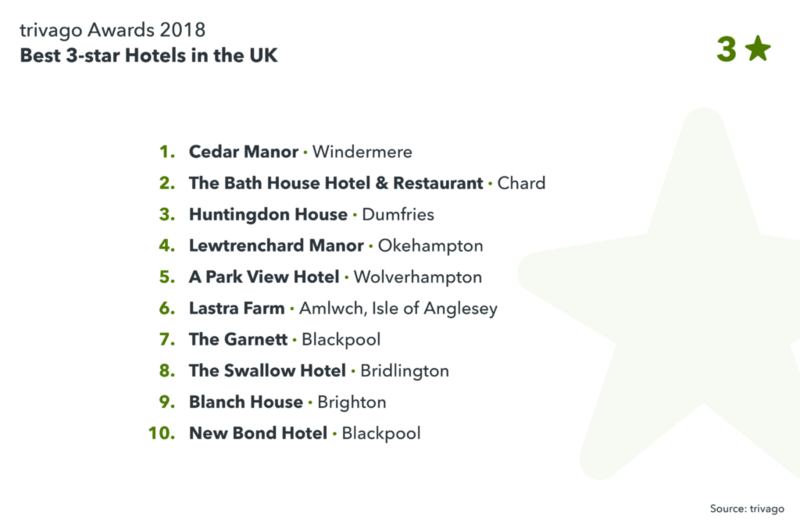 This year, the number one 3-star hotel in the UK is Cedar Manor in Windermere. 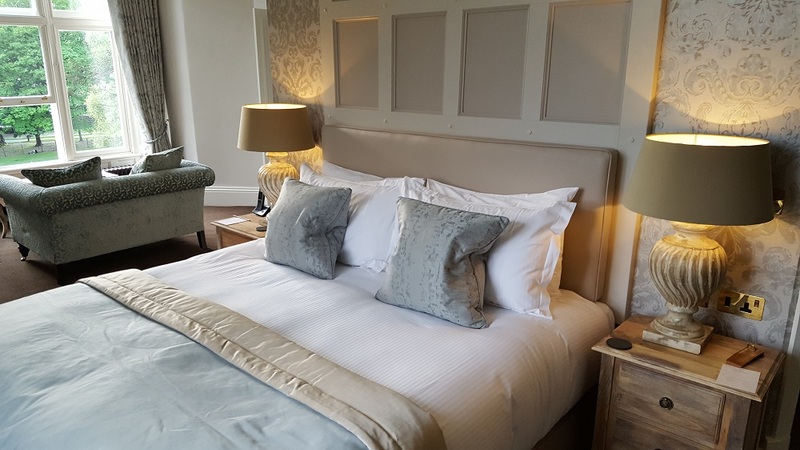 Set in mature gardens with the beautiful cedar tree that the hotel takes its name from, Cedar Manor is renowned for its friendliness with a relaxed and informal feel. 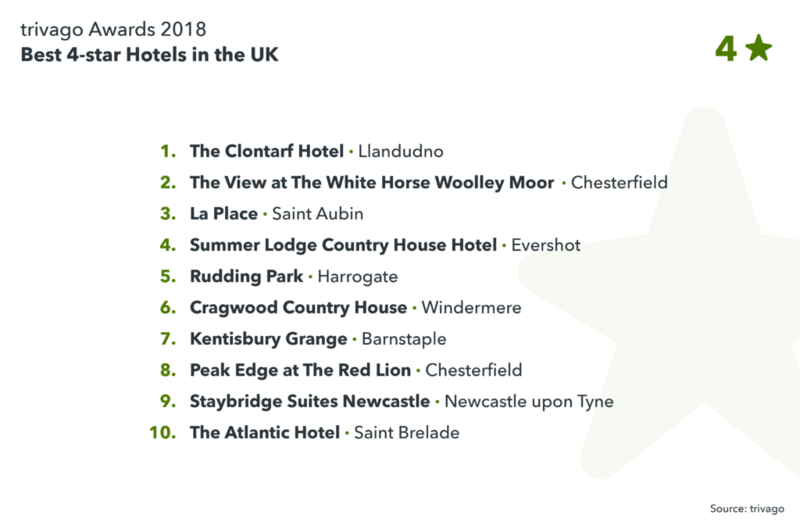 This year, the number one 4-star hotel in the UK is The Clontarf Hotel in Llandudno. 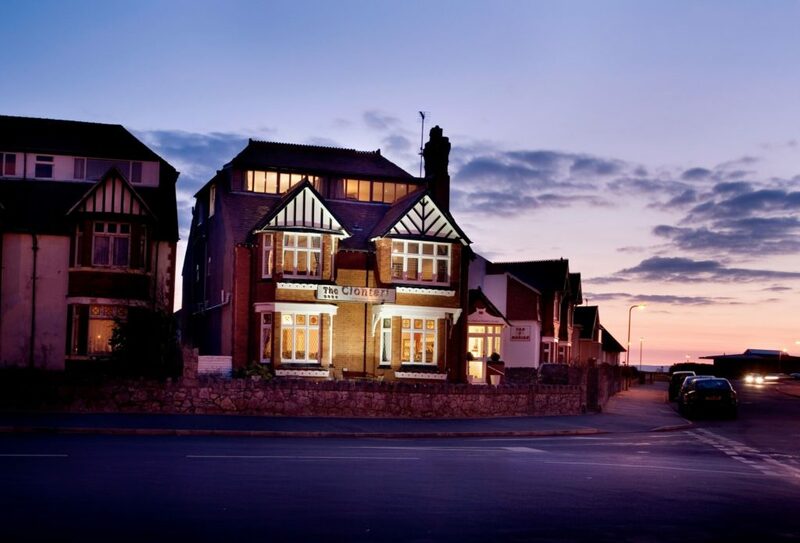 Located on the peaceful West Shore at the foot of the Great Orme, the family-run hotel offers unique styled rooms with lovely views of the sea. Just like last year, the number one 5-star hotel in the UK is Hotel 41 in London. Boasting one of London’s prime locations, attentive staff and striking rooms, 41 offers an unforgettable hotel experience. 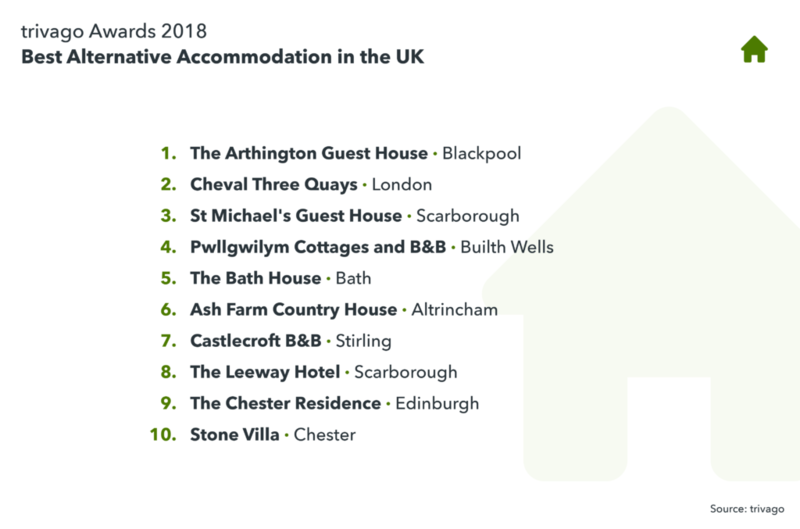 This year, the number one best alternative accommodation in the UK is The Arthington Guest House in Blackpool. Known for their outstanding service, rich complimentary breakfast, and proximity to the promenade and attractions. 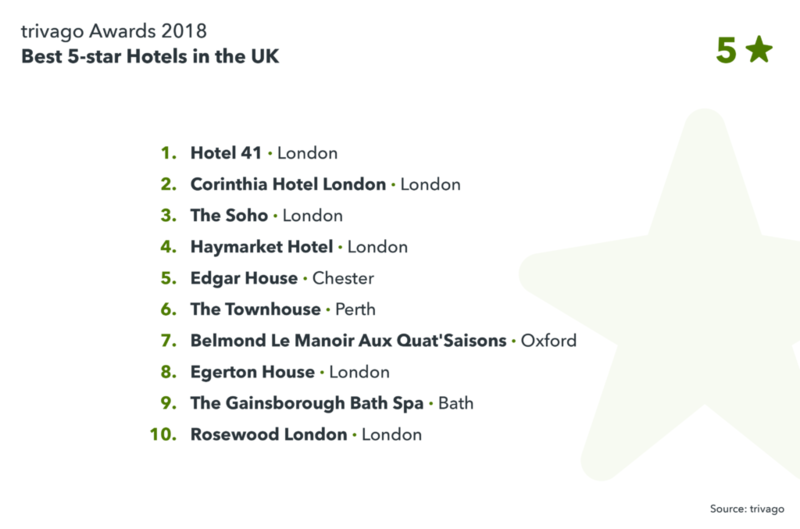 The hotel chains with the best collective ratings across the UK this year are The Montcalm Hotels, Principal Hotel Company and Corus Hotels. 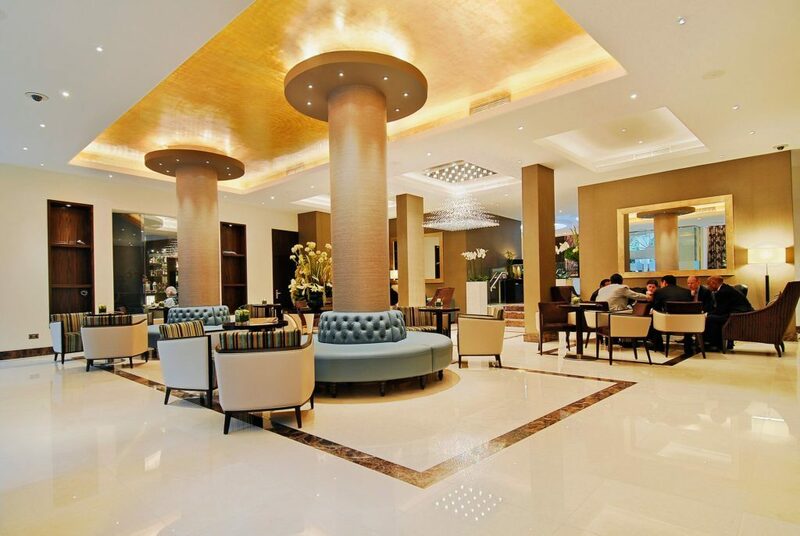 The number one hotel within The Montcalm Hotels in the UK is The Montcalm London Marble Arch. 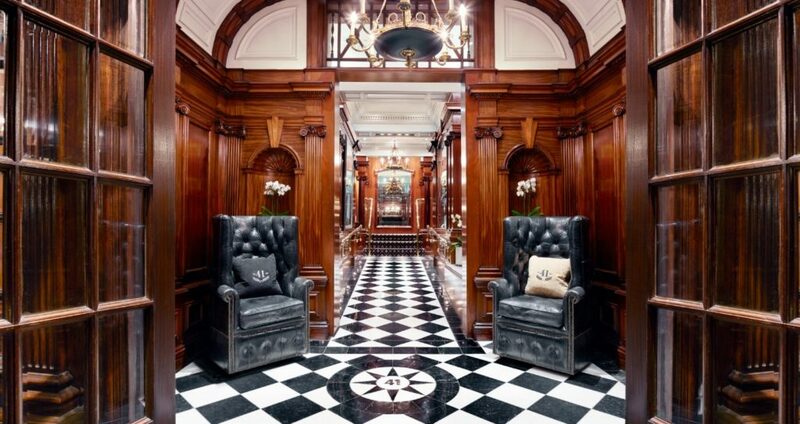 This year, the top-rated hotel of the Principal Hotel Company in the UK is The Principal York. 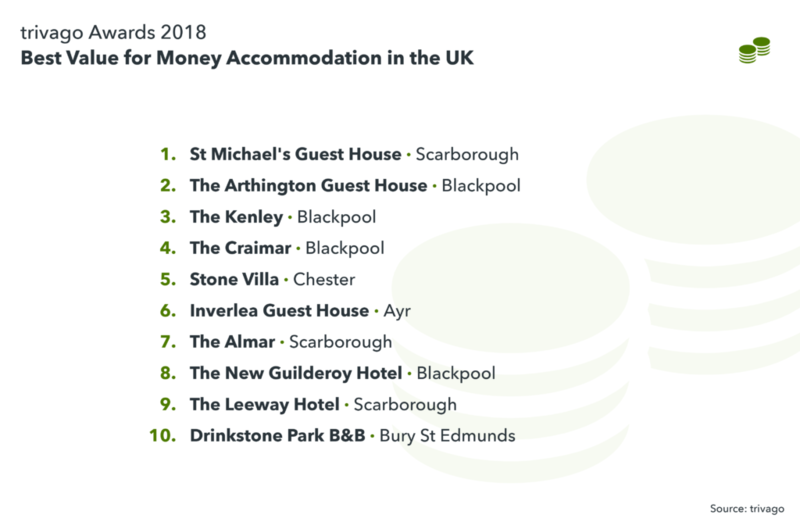 Tracy Harrison, General manager said: “It is a huge honour to be recognised by trivago – one of the world’s most trusted travel comparison websites – following the £20m refurbishment and revival of York’s historic grande-dame railway hotel. Finally, the number one hotel within Corus Hotels in the UK is Laura Ashley The Manor in Elstree. 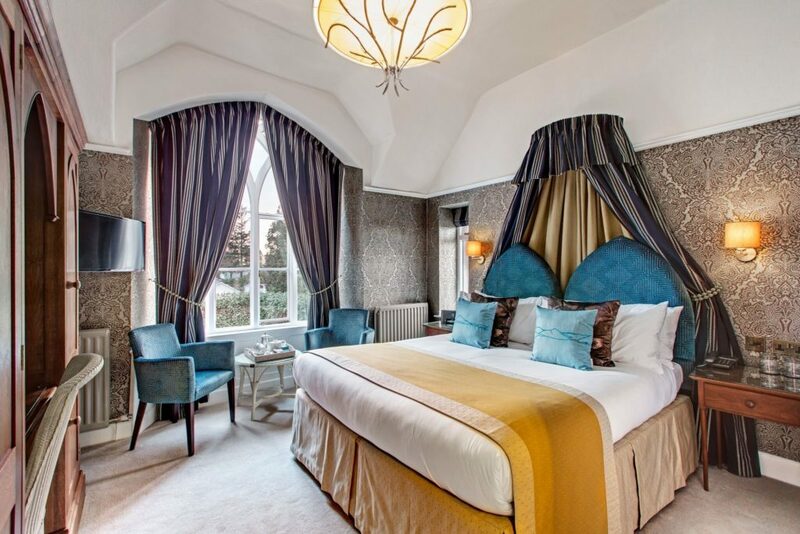 Situated in landscaped gardens within 10 acres of natural woodland and views overlooking the Hertfordshire countryside, Laura Ashley The Manor Hotel is known for charming Tudor style exterior and stylish contemporary interior décor. How does trivago determine the winning hotels? Just as we aggregate hotel prices from across the web, we also aggregate guest reviews and ratings for a wide variety of amenities and services for all hotels that display prices on trivago. The reviews are then assigned an overall score by amenity or service category using an internally developed algorithm. The overall score is displayed on trivago, making it easy for travellers to compare amenities and services offered as they search for their ideal hotel. For the trivago Awards 2018, the hotel with the highest score in each awarded category is deemed the category winner. To ensure accuracy, a minimum of 20 reviews were required for award eligibility. Although it may seem like the hotel industry is always a booming one, there is still plenty of marketing that needs to be made, simply because the industry is so competitive. There are always people looking to travel and stay abroad but only a limited number of places to do so! With this in mind, it’s so important that you create perfect hotel brochures for your potential customers to reference, luring them into everything your hotel has to offer and securing that all-important sale. When it comes to putting all your photos and content together, you can’t just stick it in any old place. You need to make sure everything is nicely laid out and flows properly. You can use tools like Easy Word Count to make sure that your content fits nicely in your brochure and doesn’t exceed your publisher’s word limit and tools like Adobe Spark to create your brochure on your own! The headline of your brochure is the first impression you’re going to make with your customers, so you want to write something that grabs their attention and doesn’t let them go. Imagine your brochure is sitting on a rack with dozens of other brochures. What can you write about your hotel that will make you brochure leap out in front of all the rest? When it comes to writing a headline, be sure to use proper grammar. Otherwise, people will instantly dismiss your hotel due to lack of professionalism. You can check this aspect using tools like State of Writing. Alternatively, if you’re stuck for an idea, use copywriting services like Ukwritings to create your headlines for you. Nothing sells a hotel better than the photos that are in the brochure. You can use as many visual words as you want but nothing will sell or create an emotional image in your potential customer’s heads than an actual high-quality image. 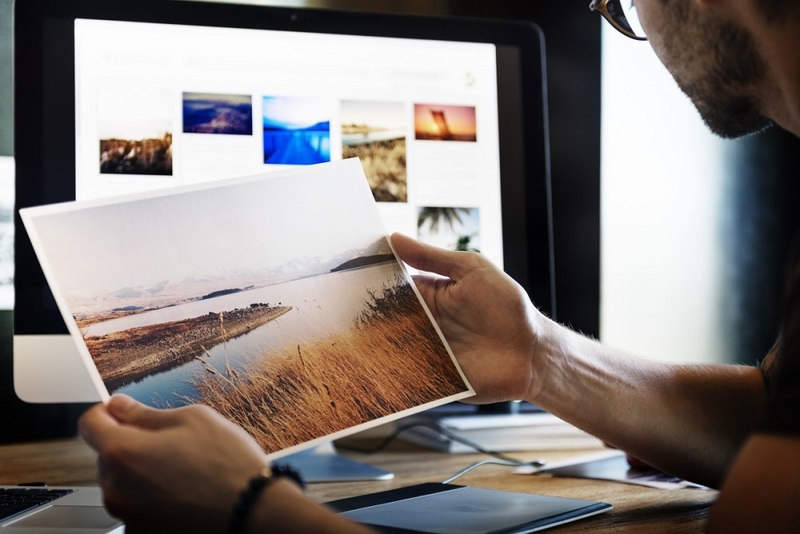 Whether you’re advertising your actual hotel, the location, the city you’re based in or even activities your hotel provides, use images to really catch your customer’s attention. If you’re stuck and not sure where to look for images, try searching on Pixabay, or use the free templates and images found on Canva. This is a very condensed summary of a hotel, but as you can see, it creates an image in your readers head that will make them want to stay at your hotel, which is, of course, the end goal. If you’re struggling with ideas, you can use content tools like Essay Roo or Academadvisor to help. If someone is reading through your brochure and it’s full of spelling mistakes, typos and incorrectly formatted sentences, this unprofessional image that you’re giving to your potential customers is going to push them away. To them, if you can’t even spot a spelling mistake in your work, how are you supposed to give them an unforgettable holiday of a lifetime? This means you’re going to need to proofread your brochure as the final thing that you do. 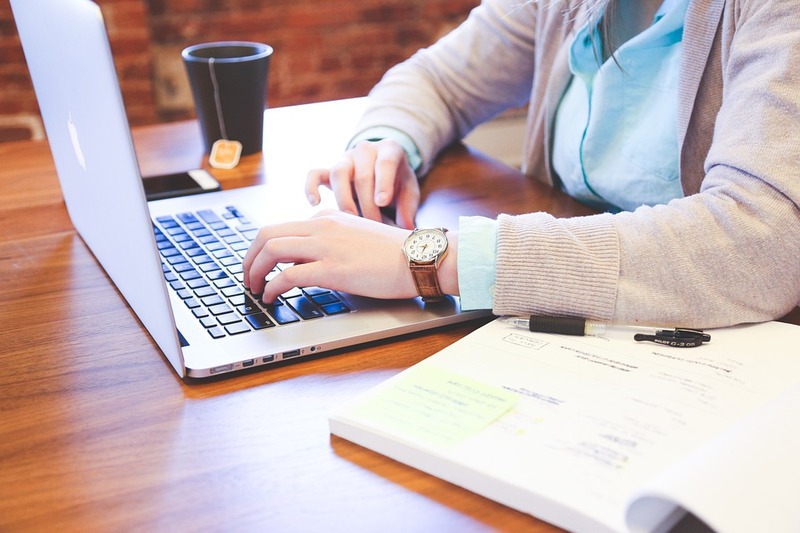 If you doubt your proofreading skills, you can always use proofreading tools like Cite It In and Boomessays, so you don’t have to risk poor quality content. As you can see, there are a number of things you can do to make sure that your brochure stands out from the crowd and has the impact you want it to have. Just make sure you follow this guide and leave no room for error! 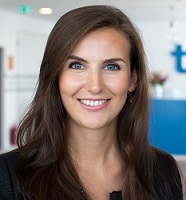 Gloria Kopp is an advertising manager and a content marketer at Australian Help. 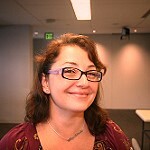 She is a regular contributor at Engadget and Paper Fellows blogs. Besides, Gloria is an author of Studydemic educational blog where she shares her writing and career advice with students. Global luxury travel network Virtuoso has determined 2018 will be the year for discovering less-visited destinations. Virtuoso’s 2018 Luxe Report, which forecasts what to expect in travel for the year ahead, shows the desire for unspoiled natural beauty continuing to motivate travellers. The annual report, which has firmly established Virtuoso as a recognized trend spotter, reveals consumer preferences in high-end and experiential travel, as discerned from a comprehensive survey of the network’s travel advisors worldwide. – Cold is hot. 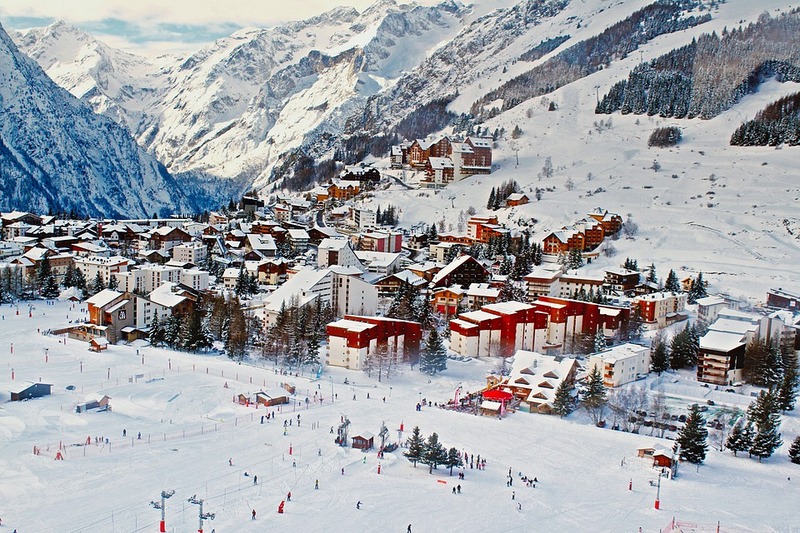 Seasoned travelers in search of fresh destinations are setting their sights on chillier climes. Iceland continues to surge in popularity, placing high in several Luxe Report categories this year. Cruisers are enthusiastic about Alaska, and adventurers about Antarctica and the Arctic. One trip of a lifetime mentioned by Virtuoso’s expert advisors: seeing the Northern Lights. – Exploring new destinations. This is the year’s top trip motivator, and travelers are embracing the opportunity to push beyond their comfort zone. Virtuoso advisors suggest that people check out at least one new place a year, and challenge themselves to try something unexpected during their sojourn: swim with marine life like dolphins or mantas, go zip-lining or ballooning, or take a helicopter tour. 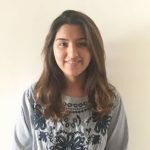 – Connecting with family through travel. After topping the list of trends since 2010, multigenerational travel has firmly established itself as a travel niche. Following close behind is travel with immediate family, also a consistent trend that will carry forward in 2018. Whether renting a European villa for a celebration with loved ones, cruising to the Galapagos Islands, or snorkeling at the Great Barrier Reef, a family trip creates lifelong memories, strengthens bonds, and plays a pivotal role in childhood education. – Experience Africa. 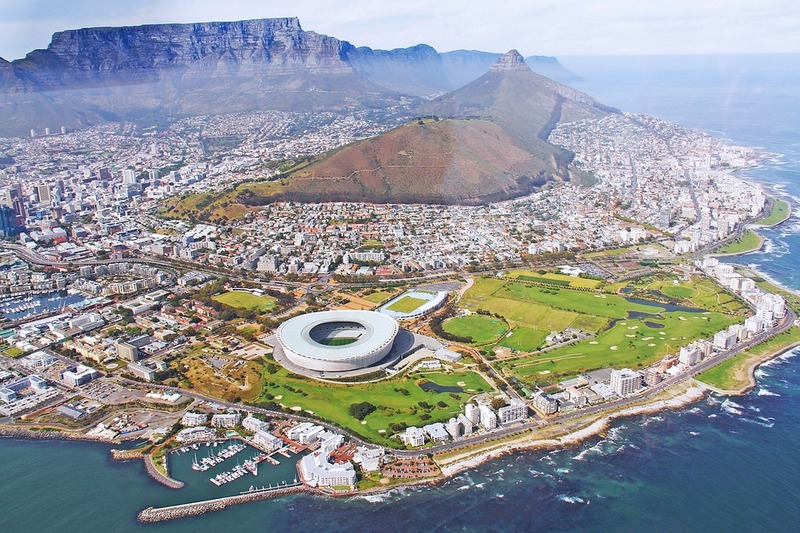 From culturally rich South Africa, also 2018’s top adventure destination, to the wilds of Botswana and Kenya, to the souks of Morocco, Africa is one of the world’s most diverse continents. Virtuoso’s advisors say a safari is an integral part of the African experience, particularly with wildlife preservation a priority for today’s sustainably savvy travelers. – Be a traveler rather than a tourist. Immersive experiences not found in a guidebook or brochure, opportunities to meet locals, wandering neighborhoods and making spontaneous discoveries are the best ways to experience a destination, according to Virtuoso advisors. Whether it is wine tasting, or learning a traditional craft or a new language, travelers will be seeking out the true culture of that area they are visiting. The desire for experiences that foster genuine human connection is a key driver for today’s travelers. No activity is too unusual for the clients of Virtuoso travel advisors, as some of the more surprising requests show. Travelers are asking for everything from reaching the edge of space in a MiG-29 flight in Russia, to herding cattle in Australia, to hosting a celebration in a private capsule aboard the London Eye. They also seek rare accommodations such as an igloo in Norway, a private castle all to themselves, and sleeping under the stars in the desert – no tent required. With the focus on far-flung exotic destinations in 2018, it is not surprising that luxury travelers are embarking on international trips of two weeks or longer, which are seeing strong demand. Week-long international trips and three- to five-day domestic trips continue to be popular as well. What is surprising, though, is that Virtuoso advisors also noted more interest in shorter international trips, such as Machu Picchu and the Galapagos Islands in less than a week. Conversely, some travelers are requesting longer trips of three to five weeks. Over the last few years, homestays have become increasingly popular, with the explosion of companies such as Airbnb making these options a more convenient and cheaper way of staying in the world’s major cities. But does this explosion in popularity of homestays challenge the traditional hoteling industry or rather does it create a situation where the two can help each other? Having worked in both the traditional hospitality industry and the property sharing sector, I can safely tell you that these two seemingly competing industries are actually more compatible then first glance might suggest. They are two sides of the hospitality coin, catering for different people with different and often complimenting strengths and weaknesses. The main difference between the two is cost and the space available to enjoy a longer stay. Homestays generally tend to be lower in price than traditional hotels. As a result, they encourage travellers who would have maybe stayed for two-three nights in a hotel to stay longer and experience more of a destination. 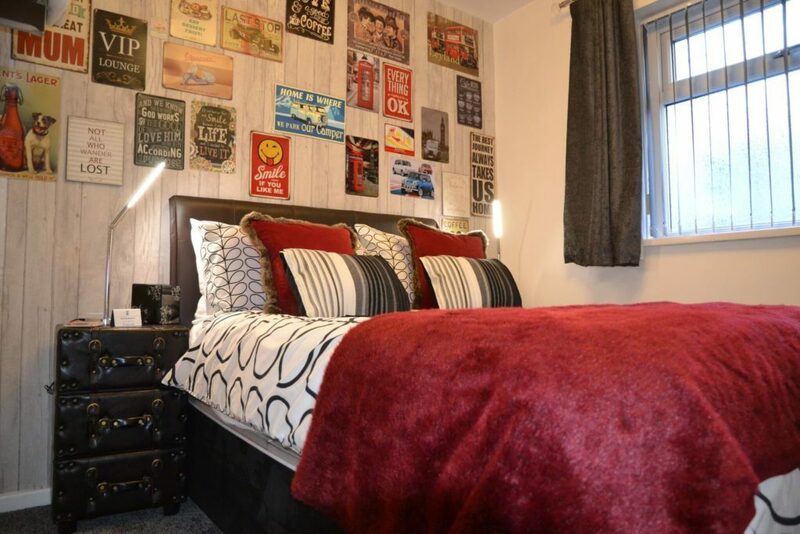 They are also preferred by a large group of people, or travellers looking for a room for month. 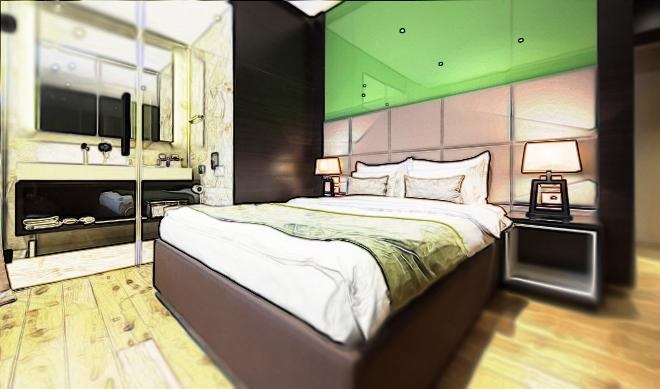 Hotels are mainly tailored to the needs of an individual business traveller and aim to be efficient. Couples or groups travelling for leisure have very different needs. Rather than stealing clientele away from hotels, they are filling the gap in the market. These two forms of hospitality also tackle the complications that come with very short or very long trips. Homestays provide much more flexibility, giving guests the option to stay for 3, 30 or 300 days, depending on their circumstances. 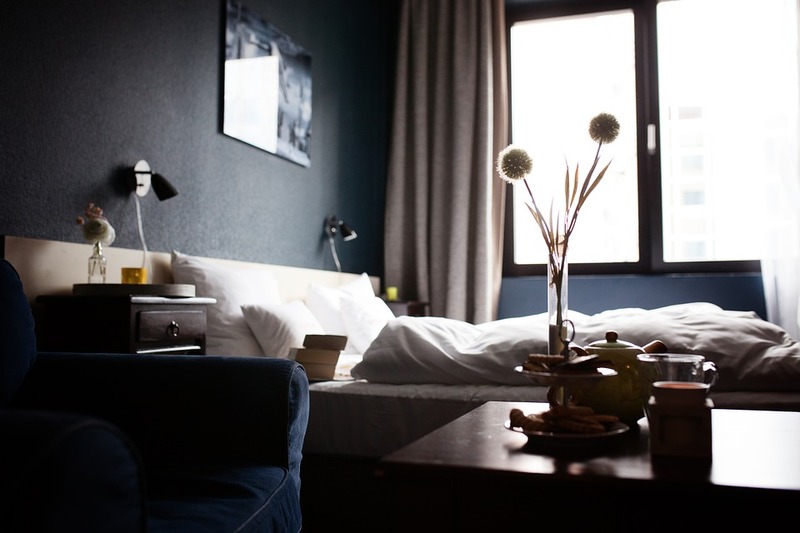 Hotels are great for families or individuals looking to stay in one place for a few nights, but it can quickly become cumbersome when you want to move about or stay for an extended period. By staying with a local through a homestay, travellers get a difference experience of the city. Before you would have had to explore a city with little or no knowledge, armed only with a guide book and relying on the hotel concierge. However, staying with a local offers guests a different perspective on a city and its culture. 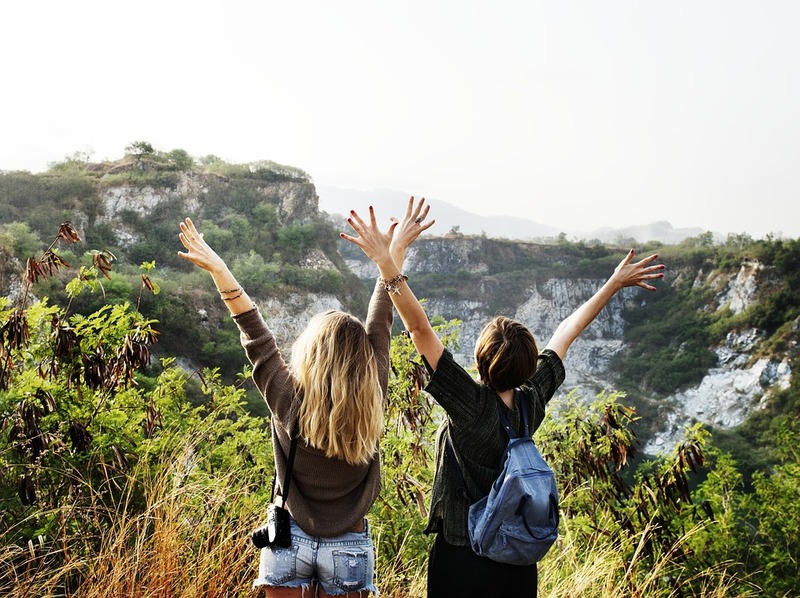 This is not something that everyone would like to experience as many people are happy to explore the city alone and enjoy the main attractions. Again, those that would have originally stayed in hotels are unlikely to migrate to homestays due to the fact that they are more interested in the comparative comfort of a hotel. Many often say that they choose hotels for the luxury service and the knowledge that they can come and go without worrying about waking up their hosts or collecting their keys at a certain time. However, it is possible to replicate this service within the homestay market. Management companies, such as Hostmaker, have been able to bridge this gap in the market and provide a Hilton level experience to a regular homestay, offering a 5-star experience for guests and alleviating the pressure from the host. Homestays often also offer unique properties. Treehouses, caravans and cabins are just a few of the types of accommodation you may find yourself in. For some people, the chance of a unique stay in an unusual location is an adventure, but others may be filled with a sense of dread. When you stay in a hotel, there is a standard that many people expect and more often than not, they receive. With a homestay, however, especially one in a quirky location, it can be very hard to determine. Those with a more adventurous streak may opt to go for a homestay but many people would still feel more comfortable with a traditional hotel. 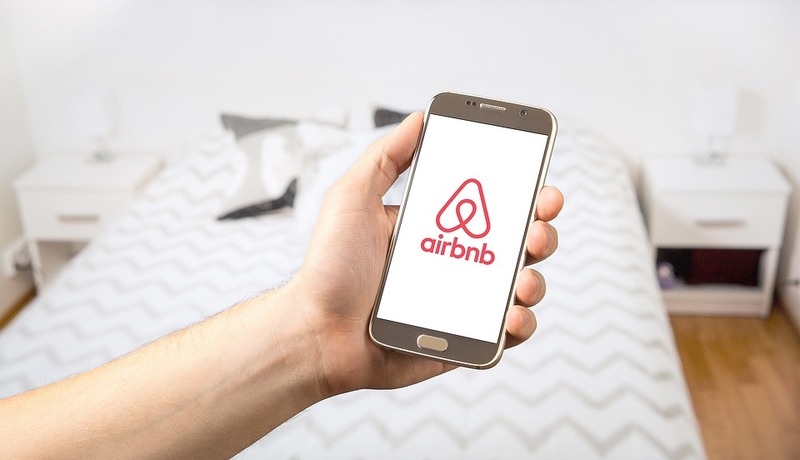 So, when we discuss the future of hospitality, homestays are certainly part of it and a quickly growing part of it, but the demand for hotels is unlikely to be affected by the growth of this sharing economy industry. Both hotels and homestays occupy similar areas in the hospitality industry but by no means are their target market the same. Homestays do not have the capacity to steal the business of hotels and hotels cannot offer the individual experiences that homestays can. Rather than conflict, the two dovetail to offer customers different experiences to cater to individuals tastes. Sustainability has long been a buzzword within the design community, and hoteliers in particular have been latching onto the idea of the past number of years. 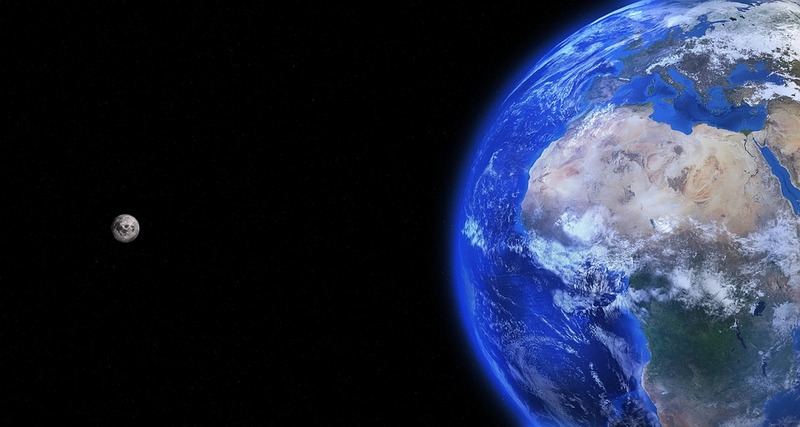 Not only is it a response to an increased awareness of climate change and the impact we as humans, especially those working in one aspect of the construction industry, have on the planet, but it is also a response to client demand, with more and more guests desiring sustainable tourism as a requirement in their holidays. An annual competition run by hotel consultancy firm the John Hardy Group called Radical Innovation Award takes submissions for innovative hotel designs that reimagine the hospitality experience, and this year’s entries and winners point to a significant upswing in sustainable hospitality that could well be the future of the industry. The award has singled out a number of visionary projects as finalists, but many of the entries proposed radical ideas that threw out the rulebook of hospitality design. A common theme was that of sustainability, both in an environmentally friendly sense, but also in a cultural sense, where local culture and art is celebrated and promoted. This also points to recent trends in hospitality where local experiences are being sought by guests wishing to engage more with the place and people they are visiting. Green or garden hotels were a big feature of a number of entries. Canadian firm Arno Matis Architecture proposed a project entitled the ‘Vertical Micro-Climate Hotel’, whose concept is to make the outdoor areas of hotels located in the harsh climates of North America habitable all year round. 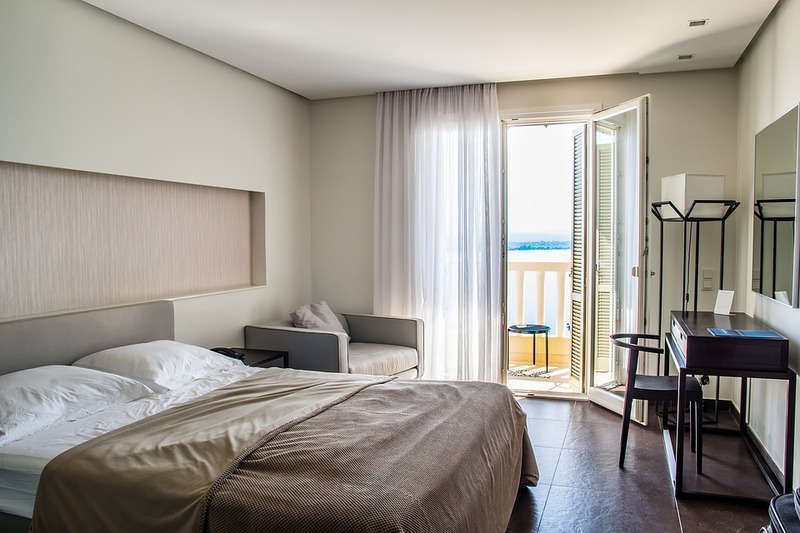 One of the features of this hotel was the use of heliostat technology, a mirroring system which reflects sun back into certain parts of the building as required so as to make them habitable even in colder weather conditions. EoA’s submission involved suspending hotel facilities from a treetop by using a system of cables to hold rooms in tent-form above a trampoline-like platform, giving the hotel a very small footprint above the forest floor and re-orientating the guest’s field of vision to that from the tree canopy. A Dutch architecture student submitted a project that he had built in his mother’s back garden which connects guests to nature while allowing them to sleep in a sustainably built and naturally ventilated structure. The culturally sustainable aspect came in the form of the currently-operational Play Design Hotel in Taiwan, which champions local artists and designers by installing their creations into hotel rooms and encouraging guest to interact with them. The idea came about after the developer noticed a lot of his artist friends were having to go abroad to showcase their designs, and he thought that it would be better to not only exhibit the work locally in hotels so that international guests could see them, but also to cultivate an environment of design engagement within the hotels themselves. “I want people to experience the culture of this country. played a lot with the idea of using the hotel as a portal for people who want to learn about Taiwanese design, a space that is furnished with all of these local designers’ work. So, their work is not only shown but so it’s experienced. Design isn’t something you only put in a museum or gallery. It should be used. It’s for your everyday use,” says hotelier Ting-Han Chen. 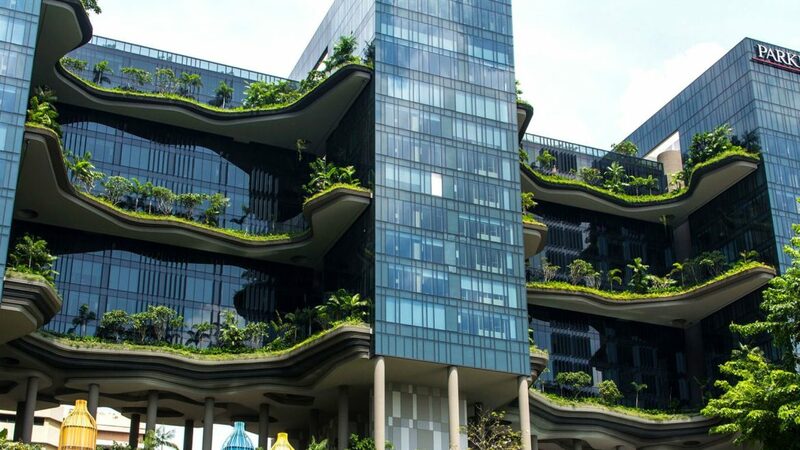 More information on hotel sustainability can be found on TOPHOTELPROJECTS, the specialised service provider in the exchange of cutting-edge information of hotel construction in the international hospitality industry. 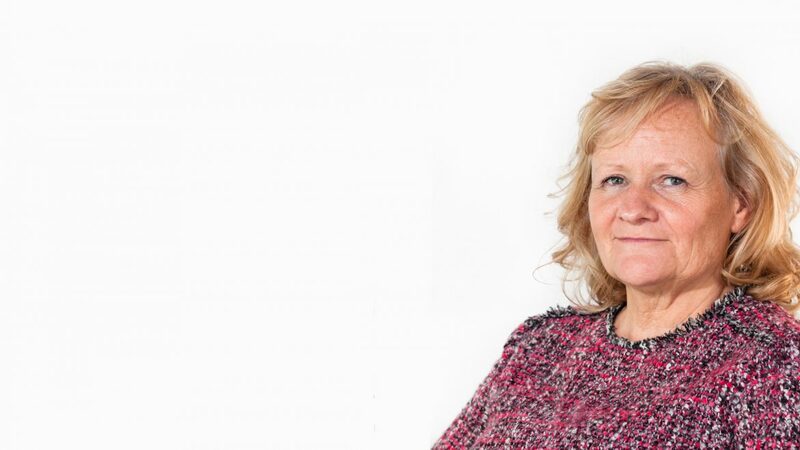 Head of interior design and conservation at Nottingham-based Franklin Ellis Architects, Denise Ellis, who has worked with the firm for over 24 years, is a heavyweight in the hotel interior design industry. Having worked with international brands though to independents including Hilton, DoubleTree by Hilton, Best Western, Holiday Inn, Holiday Inn Express and Staybridge Suites, Denise discusses the ever-changing sector and the changes that influence hotel interior design. “The hotel sector has changed hugely since I began working for Franklin Ellis Architects. Whilst the firm and I have work on projects across a range of sectors, hotels are 90% of what I do and are my passion. Guests reactions to the interior of a hotel is driven by emotion and having worked on over 25 hotel projects, I have a clear vision of the type of emotions and responses I want to gain from people as they step over the threshold of a hotel for the first time. “Each project is very different and the hotel industry is an extremely competitive and ever-changing market which means the owners are having to up their game and constantly renew their offering. Over the last 10 years, hotel design has changed considerably and this is down to the wider trends that affect our day to day lives; like how we communicate, how we spend our free time, technology and fashion. For example, you won’t find many (good) hotels that don’t have plenty of power points, phone charge ports and fast Wi-Fi in communal areas. “Unlike 10 years ago, most hotels, large or small, now strive to offer an intimate setting for its guests. Hotels are looking to create an experience that the customers will enjoy but also remember, so they return. Previously hotels were more of a necessity and while they did of course create spaces guests wanted to be, hotels were more focussed on formality and minimalism. 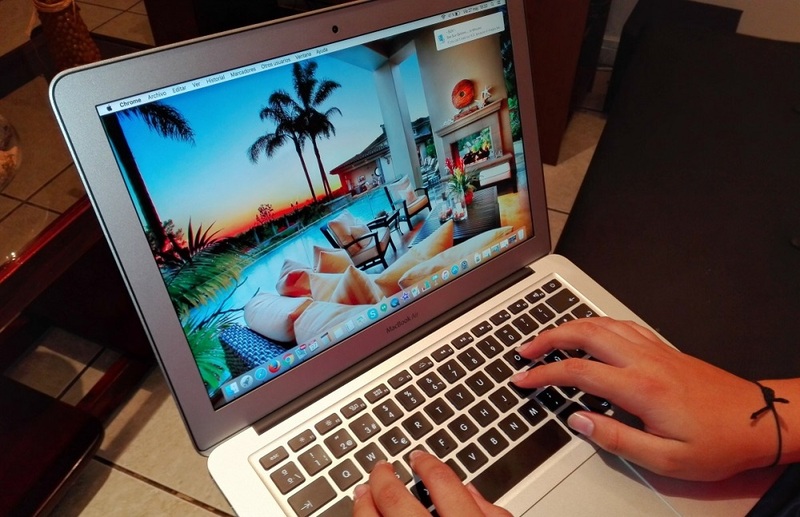 “Today, most hotels try to create a home-from-home with a level of informality and relaxation to cater to a range of customers and their demands. Brands now have a wider food and drink offer to suit more informed palettes, state of the art gyms and spas are much more common place, more communal areas and break-out spaces have been created for people to work as well as quiet spaces for those who want to read or work in a more private setting. “Hotels are investing much more than they used to in the restaurants and bars, doing all they can to attract not just guests to eat and drink in the hotel but to also non-guests. “People expect more from their hotel visits now too, discerning customers like to have something to aspire to for their own homes such as high-end soft furnishing, quirky decoration and cool lighting for example. Hotel interior design must take on the many demands of today’s customers and create spaces that are not only functional but awe-inspiring and memorable. “My inspiration comes from all around me. I believe the element that makes a hotel unique and interesting is its location and sense of place. I try to make sure that the interior design in some way reflects the community around to create an instant connection. Hotels, including large multi-nationals, are adding elements to the interiors that are relevant to that local are; be it paintings of local landmarks or items that are made locally, hotels want to integrate into its surrounding area and be a part of the local community. In the last few years, there has been a steady uptick in integrating the use of technology within the hospitality industry. Hotels are now heavily investing in guest-facing technologies such as booking engines, mobile apps, digital concierge services, keyless entry systems, beacons, automated check in and check out processes amongst many other, especially for their guests. 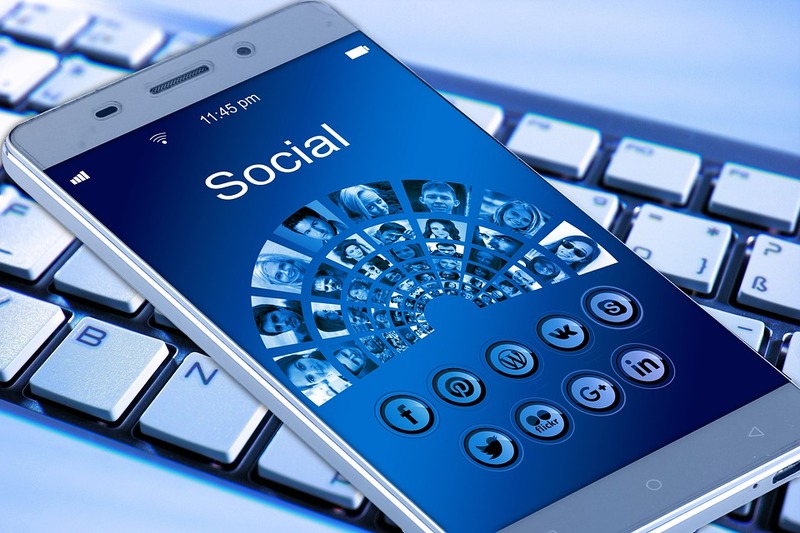 In a recent New York Times article, Scott Dobroski, of corporate communications for Glassdoor, says that ‘All companies are becoming technology companies to some degree, and this is especially true in the hospitality industry’. This phenomenon is definite progress for the hospitality industry, and it is time to shift the focus on adapting mobile technologies for your employees too. Stefan Tweraser of Snapshot writes about how employees are using multi faceted systems that can affect productivity and even shrink job satisfaction. These systems are so complex that guests are left waiting while employees navigate the user interface for information – information that should be mobile, on their fingertips and readily available at any given point of the day. 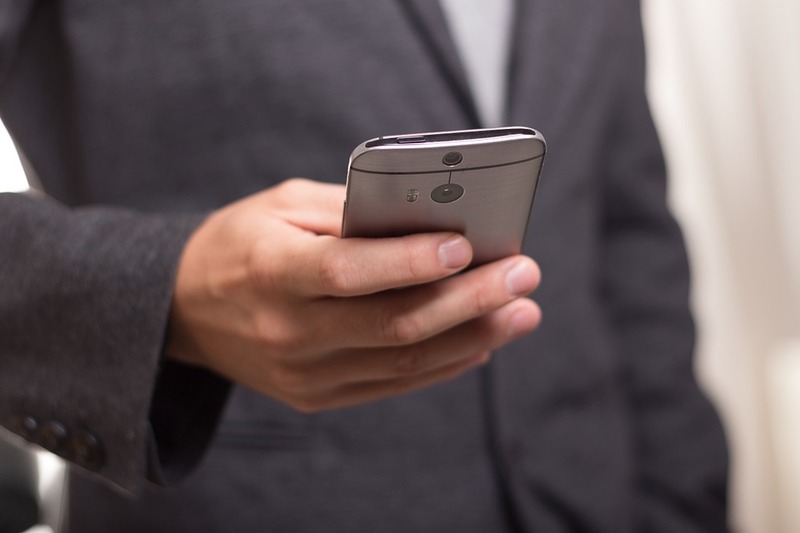 Mobile technologies that allow for internal connectivity, communication, access to all information can be extremely valuable for operations and in-house staff. 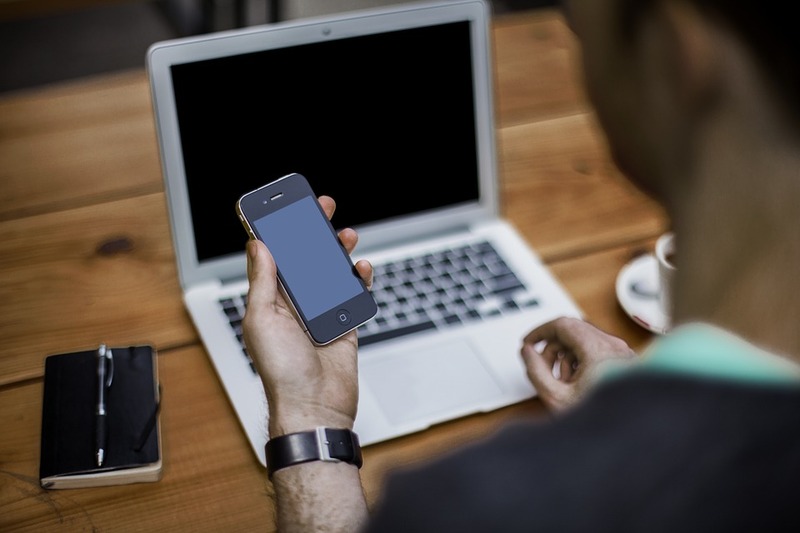 A mobile platform can provide more benefits due to its flexible nature. For instance, staff members have instant access to the company intranet allowing them to provide enhanced service to guests. Gaining that access to daily news and real time updates increases their ability to work efficiently and with complete information. On the other hand, management can use employee behaviour data to optimise their operational processes. The key is to find technology that will save your employee’s time in doing routine tasks with all the required information to perform their job, available for their use at any time along with giving managers access to gather and analyse staff data. It will fit your operational purpose with simplicity in function and adaptability and most importantly, help improve your strategic goals and bottom-line. By finding platforms that are multifaceted and provide different features to tie your operational processes together, it could provide valuable data into how staff carries out their work, and how it affects factors such as employee retention, satisfaction and productivity. These metrics have a direct impact on guests as well as the bottom line. Features such as communication could include sending out daily updates regarding VIP guests or check in’s or having a portable database with documents on security, personnel HR, training, employee marketing and departmental reports. These enable staff to remain informed at all times, stay updated with recent knowledge and skills allowing them to do their tasks optimally and provide impeccable guest service. Just by using such a feature, guest satisfaction and retention can increase; along with productivity, again, positively affecting the bottom-line. Added features such as surveys and feedback provide management with the opportunity to engage with their teams and have open dialogue frequently. Managers can respond faster to employee feedback, take action, and create a sense of community. As a result, employee retention boosts, satisfaction surges and the costs of hiring are reduced! Bonus functions such as chatting, conducting assessments, filling checklists and inventory lists allow for optimising operational processes, reduced paper trails and collecting analytical in-house process data that can help management strategise better. To simplify this, it is advisable to contain the adoption of technology within one department initially. This can help gauge responsiveness from both employees and management. From there on, the technology can then be adopted by others (property wide or company wide). Management, too, can better adapt the use of this app and observe staff responses. Once the platforms are in use, and then integrating them into existing systems to heighten usage and optimise processes amplifies seamless operations. When fully functional, management can create reports to recognise their team skills and compare and correlate usage within the app to metrics such as employee satisfaction and retention, guest satisfaction and retention, printing costs, training costs and productivity levels, all of which will be demonstrated financially as well. 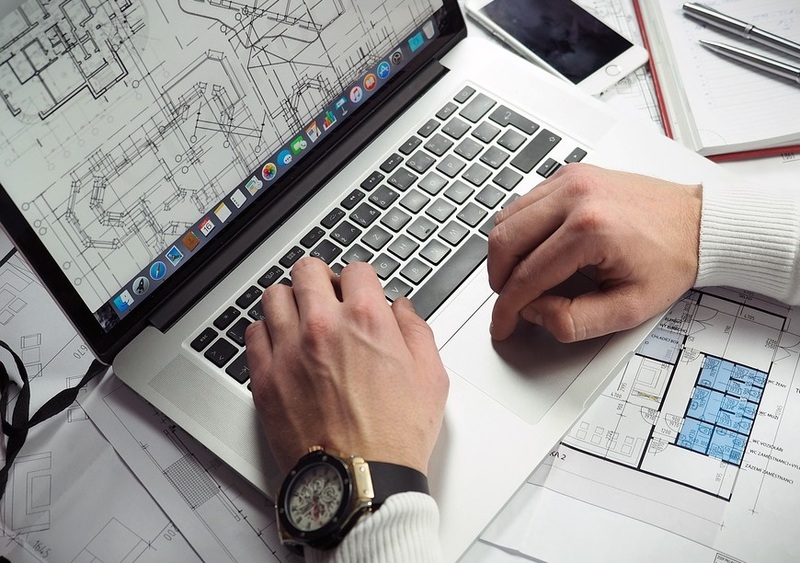 By working with developers to customise technology to best suit your property, it allows you to exploit every function for maximum efficiency. With all the technology available at our disposal, do not invest in technology without purpose; rather invest in technology that serves your staff to serve your guests better eventually. Every establishment is unique and it is often the little touches that can make all the difference to a guest’s experience. 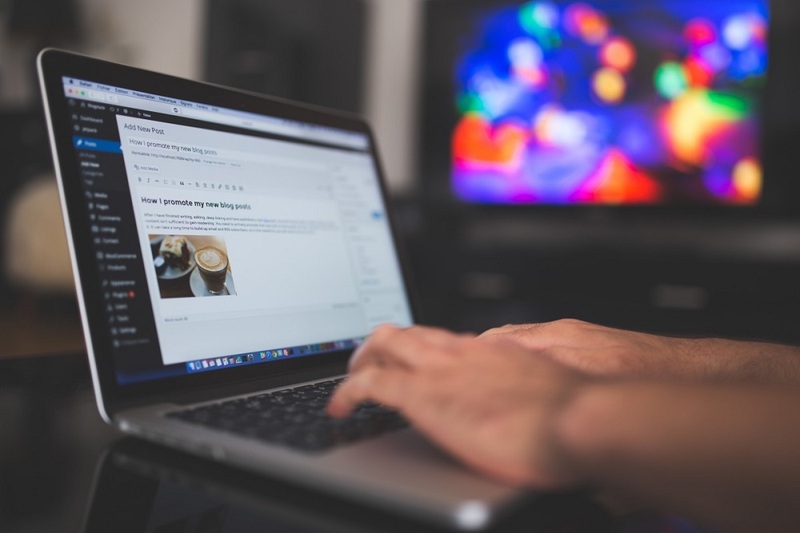 The increasing credibility of travel review sites has made the hospitality market even more competitive, so it is important to stand out for all the right reasons. 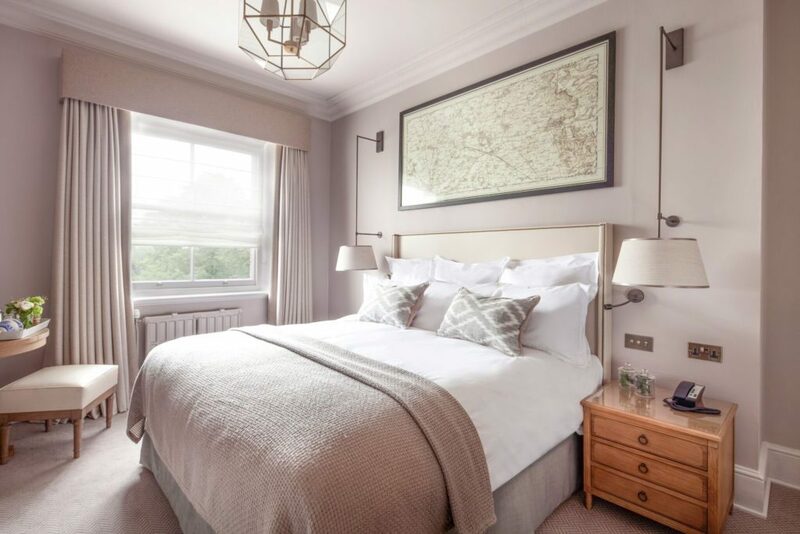 Here Chris Tame, Mitre Linen’s National Sales Manager, provides us with his six expert tips how to accessorise your rooms in order to create a warm welcome, a wonderful stay and a lasting impression. 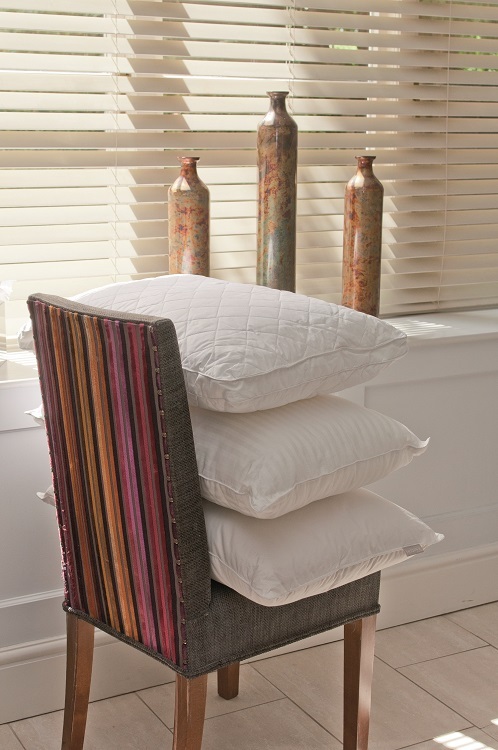 1) Soft furnishings: Beautiful soft furnishings can transform a room and instantly make a guest feel welcome. Whether you want to ignite a certain sense of style or reinforce your brand identity, refreshing your curtains, cushions and bed runners will help create that all-important great first impression. 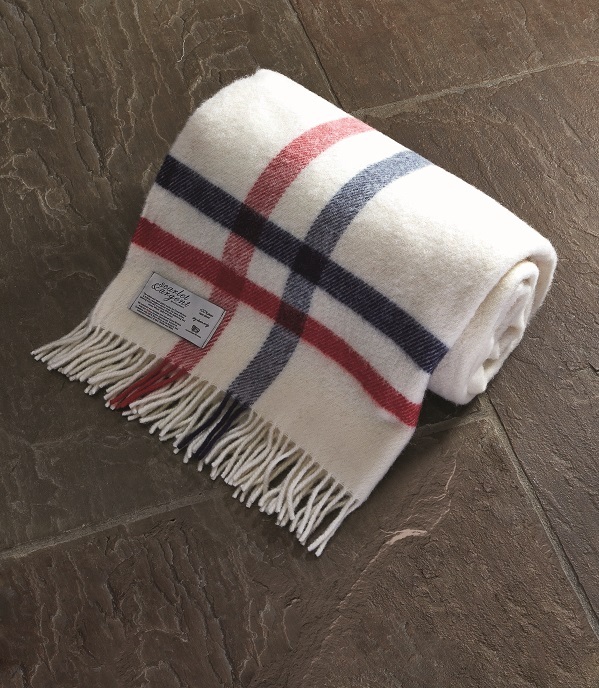 2) Include a blanket or throw: A deliciously soft cashmere or woollen throw or blanket can add a touch of glamour to a room as well as making guests feel at home. Guests love snuggling into a little comfort and will appreciate this little gesture. 3) Pillow menu: The right pillow can make all the difference to a good night’s sleep and, in a competitive market place, personalisation is the key to standing out. Why not offer your guests a pillow menu to allow them to pick their ideal pillow? This is a unique and personal gesture and will help provide your guests with a fantastic night’s sleep, tailored to their requirements. 4) Offer practical bedroom accessories: Complement each bedroom with practical amenities that will provide your guests with all the essentials to make their stay as easy and comfortable as possible. From quality hair dryers to irons and ironing boards, sometimes these little extras can be a necessity. 5) Offer guests a bathrobe and slippers: Allow your guests to feel completely pampered and indulged by leaving a sumptuous bathrobe hanging up in the room. Nothing says luxury like a velour bathrobe and a pair of matching slippers. For that extra-personal touch, embroider your bathrobes with your brand name to help reinforce your identity throughout their stay. 6) Include complimentary toiletries: Guests love a quality selection of quality complimentary shampoos, conditioners, shower gels and body creams in their bathrooms. 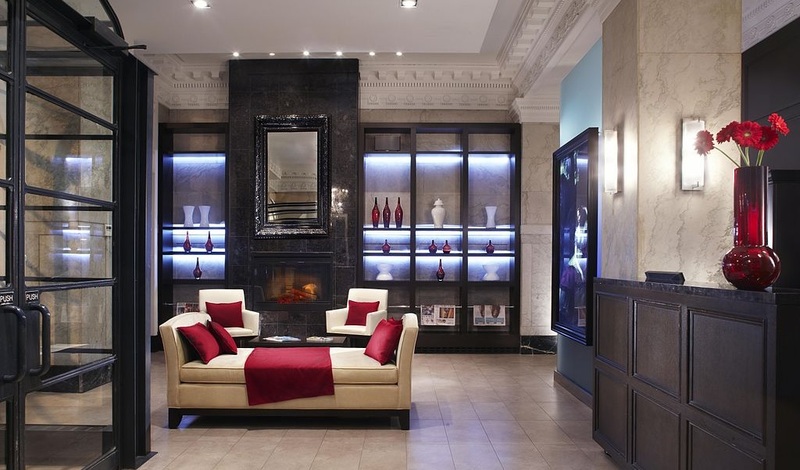 Adding them to a room shows attention to detail and will add a touch of luxury to that special hotel experience. A growing number of hotels are shedding traditional designs in favour of something a little more modern, as rapidly changing interior trends require agile products which can evolve along with the building as a whole. 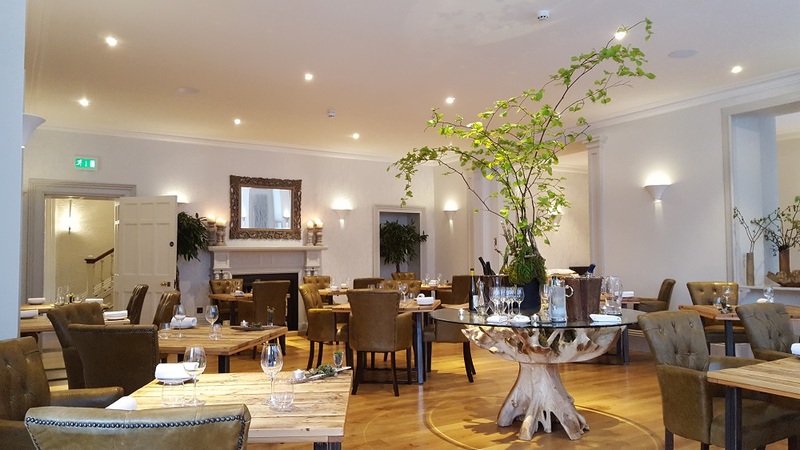 A key part of this is design flexibility, and ranges which can offer scalability and ease of replacement are becoming increasingly popular amongst hoteliers. These not only allow regular refreshes to a space without a significant financial or time investment, but allow common design throughout a building with scalable options from back of house office areas to suite rooms. 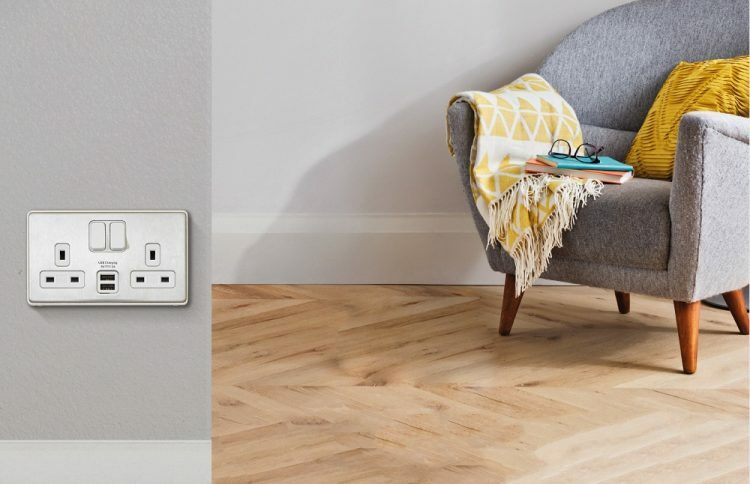 In order to meet this demand, MK Electric has launched a new range of screwless wiring devices, Dimensions, a design-led solution which is easily upgradeable and available in eight different finishes for a contemporary finish to any room. Designed as a two-piece product solution, Dimensions is available as two individual parts, a functional module and clip-on frontplate, which can be ordered separately. This two-part installation offers a high level of adaptability, allowing frontplates to be changed as the design inside the building evolves over time. 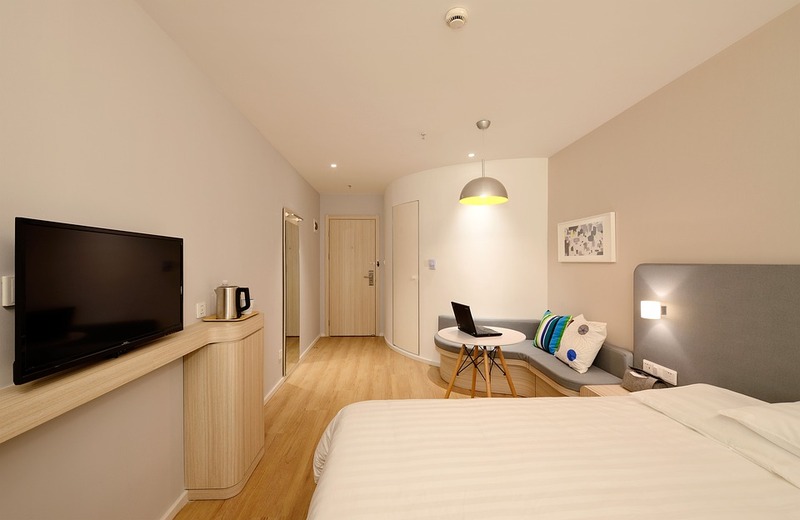 And, as end users are expecting more from their hotels, the range incorporates products such as integrated USB socket outlets for easy smart device charging, LED dimmers, keycard switches and ‘do not disturb’ switches, all with a unified look. 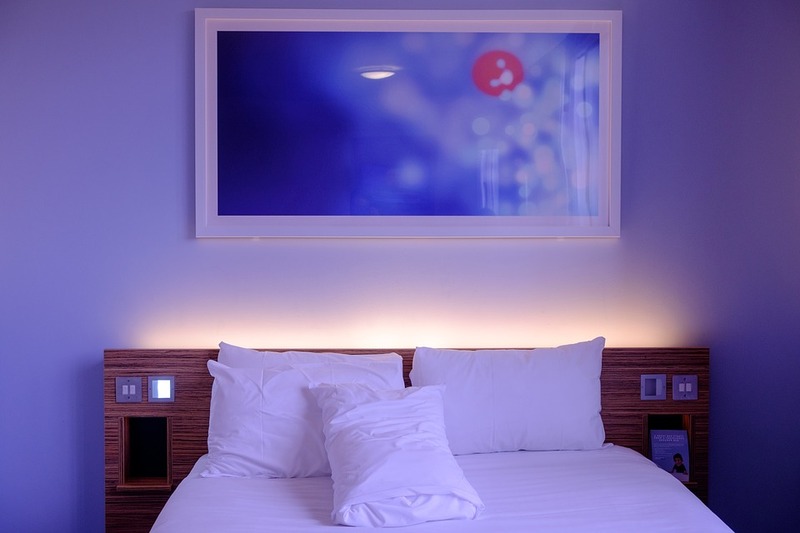 Emma Segelov, head of marketing at MK Electric, said: “We understand that in today’s design-led environment, hoteliers need wiring devices which not only blend with their current décor but can be quickly and easily changed to match a revamp. Dimensions provides peace of mind for contractor, customer and end user, and comes complete with a 20-year guarantee (exclusions apply). With the kids gone, it was time to follow the footsteps of many other boomers and downsize to a condominium. What started as a mere paint job, however, morphed into a $150-per-square-foot renovation of the entire apartment comprising appliances, lighting, flooring, soft goods, mirrors, kitchen and plumbing fixtures. What we ended up having on our hands was a genuine case of ‘scope creep’ – something not uncommon in any property refurbishment. 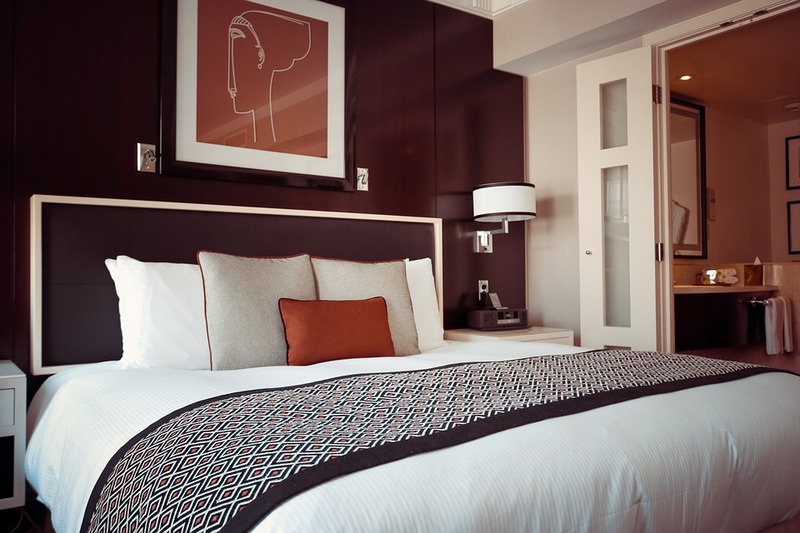 Hotel renovations are a necessary dread of our industry in order to keep apace with the constantly giving décor trends, star rating requirements and technological advancements. They are also stressful and frustrating. 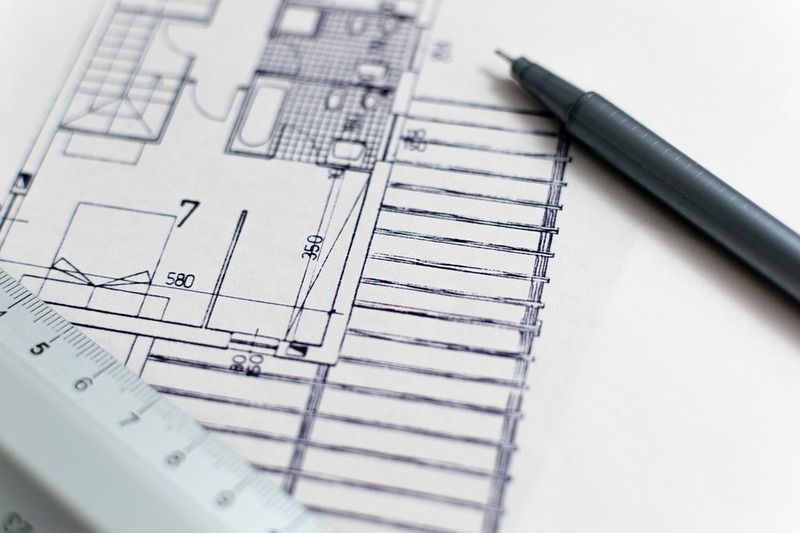 Having gone through dozens of this large-scale projects over the past four decades, I was able to navigate the treacherous waters of my own apartment’s scope creep by following a general guideline of these twelve tips. 1. Define your objectives. Be as specific as possible, and make sure that these are written and approved by your ownership group. My mistake this time around was that my vision was very different than that of my spouse which resulted in serious cost overruns and time delays. 2. Timetables are split in thirds. Whatever you are proposing, figure one third of your time will be spent planning, another third in the actual work and the final third in quality control. Do not underestimate any one of these segments. 3. Budgets never last for more than the time they were created. There are more ways for costs to overrun than you can count. I thought our planning was generous but we ended up about 25% over budget, and that includes several areas of great cost savings. It’s natural to use a renovation to augment deep cleaning, upholstery renewal, upgraded security systems, LED conversions and any other new technologies. It all adds up! 4. What’s behind the walls? Our condo is only 15 years old, so there were no crazy surprises like what you would find in a century building. Nevertheless, we discovered significant shortfalls in wiring, plumbing and HVAC that all needed to be corrected before we could begin. Of course, these resulted in more cost increases and time delays, but the lesson here is to thoroughly inspect the state of affairs ‘under the hood’ before finalizing the scope and budget. 5. Hire a great general contractor. Simply put, you have a hotel to run, not a construction site. Don’t even think of doing both simultaneously. You need someone who will manage the project on your behalf. The GC became my single point of contact for the project, helping streamline communication and saving me time. He collected all my notes and disseminated them to the multitude of tradesmen onsite. He also fed back issues and prevented potential solutions. 6. Let everyone know your deadline. In a residential move, this is straightforward; the closing date of your home’s sale dictates the project’s drop-dead completion date. While this gave us six months of overlap, the GC understood the final month was set aside for moving. With no secrets, the work was accomplished in the set timeframe. As a senior manager, you put decide what the maximum tolerable length of agony is that your property can endure before irreparable damage is done to its occupancy and reputation. 7. You cannot walk away. In order to keep everything on track, I visited the jobsite at least twice a week, in addition to a weekly GC meeting. Apart from the obvious status reports, there were always new items and unexpected issues. The devil is in the details, and you won’t discover those details unless you are periodically on the ground with the troops. To note one example, we did not specify the location of the thermostat. Without any direction, the HVAC folks placed it in what they thought was the optimal position, which did not take into consideration the high headboard which would have covered it. Good thing I was there to catch this before it was too late. 8. Document all change orders. We kept a running tally sheet of over-change that we requested. While this did not lead to any real cost savings, at least we understood the detailed reasons for the overages. This approach will come in very handy when ownership needs to understand your budget predicament or to reconcile excesses. 10. What ifs are expensive. Want to move a door, reposition a switch or add a dimmer? Most GCs will never say no. Just about anything can be built or modified; it is merely a matter of time and materials. So, be careful as to what you ask for, as your whimsical idea may be converted into reality but at a price too hefty to properly bear. 11. Take lots of before photos. Try to image the best angles and where you stood so that you can replicate them exactly with the new look. 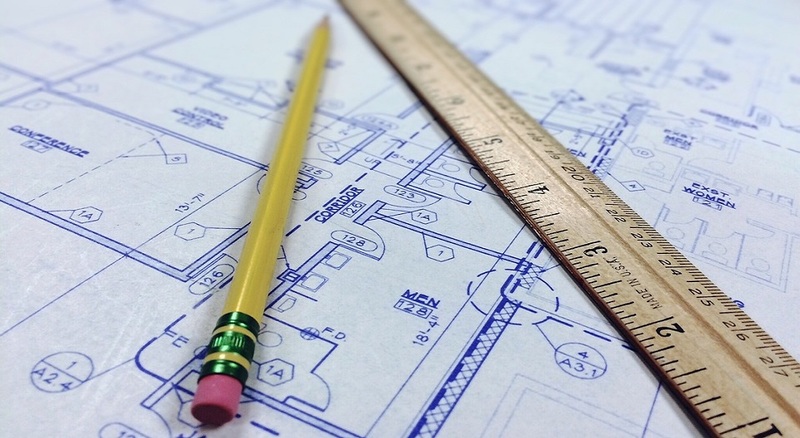 The before-and-after comparisons may help you explain your cost overruns to your owners. 12. Say thank you to your team. I didn’t hire painters, carpenters, electricians, plumbers or HVAC specialists. I hired craftsmen who take great pride in their work. It’s probably a small job to them, but clearly very important to me. Such professionals will feel similar pride in their work done to refurbish your hotel. No matter what the project is or the size of your property, it costs nothing to say thank you in person or by email, and it will always be appreciated. With the new products presented at ISH 2017, Duravit has re-interpreted the basic idea of the holistic interior. 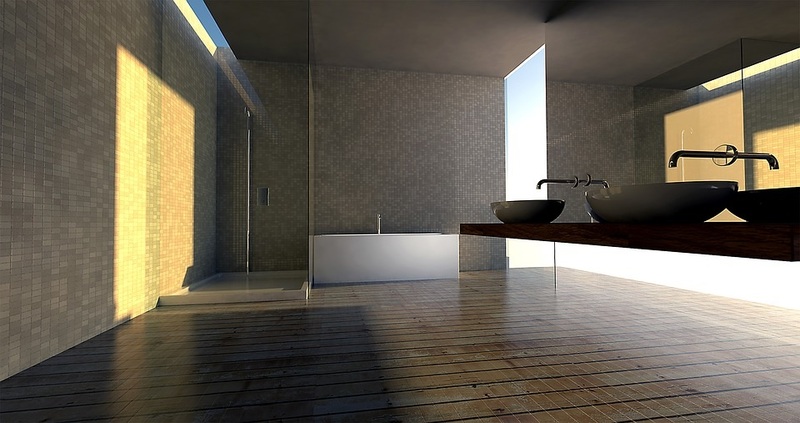 New designs provide the scope for individual bathroom furnishings offering a high standard of living. All products have a consistent design language and can be combined with products from all series to optimum effect. Precise geometric forms, selected materials and soft, matt colours and textures take their place in the bathroom. Design, function and high operating comfort are perfectly coordinated. The Nordic furnishing style is characterised by clear forms and soft, natural colours. For Duravit, the Danish designer, Cecilie Manz has combined Nordic design with new technologies, new colours and new materials, which are impressive in terms of both feel and function. The Luv bathroom series offers completely new design possibilities for either larger rooms or guest bathrooms, the unusual design combines Nordic purism with timeless, emotional elegance. The above-counter basins made from DuraCeram® impress with their subtle lines, generous inner basin and clear edges. The selection of materials and colours is testament to Cecilie Manz’s refined sense for touch and nuances. For the first time, Duravit uses matt glazes in soft tones on the outside of the DuraCeram wash bowls, which contrast with the high-glaze white ceramic inside the bowl. New pale Nordic colours in satin-matt lacquer can also be found on the furniture. The distinctively shaped baths are based on the form of the wash bowl and are made from the mineral material DuraSolid A, which offers a pleasantly warm feel and a high-quality matt look. Clear, timeless forms create lasting value and are popular for bathroom furnishings. Vero Air, is in keeping with this ongoing trend: the entire bathroom series impresses both purists and individuals with a feel for durable design. With its clear, classically rectangular form, Vero has been one of the architectural classics of bathroom design since 2001. Thanks to modern manufacturing techniques, the precise design of Vero Air reinterprets Vero’s timeless geometry. The range’s washbasins and bathtubs impress with reduced edges and a striking linear charm. With its new DuraSquare collection, Duravit presents an upgrade of Vero Air that sets new standards with its clarity, precision and reduction. Exact edges blend with the organically flowing inner contours. From the washbasin to the bathtub, the programme is designed to be sustainable and is made with the innovative materials DuraCeram and DuraSolid. Combined with the new furniture frame, the washbasins become a real eye-catcher in the bathroom. This flexible base is height-adjustable and can be supplied in silver (chrome) or matt black. 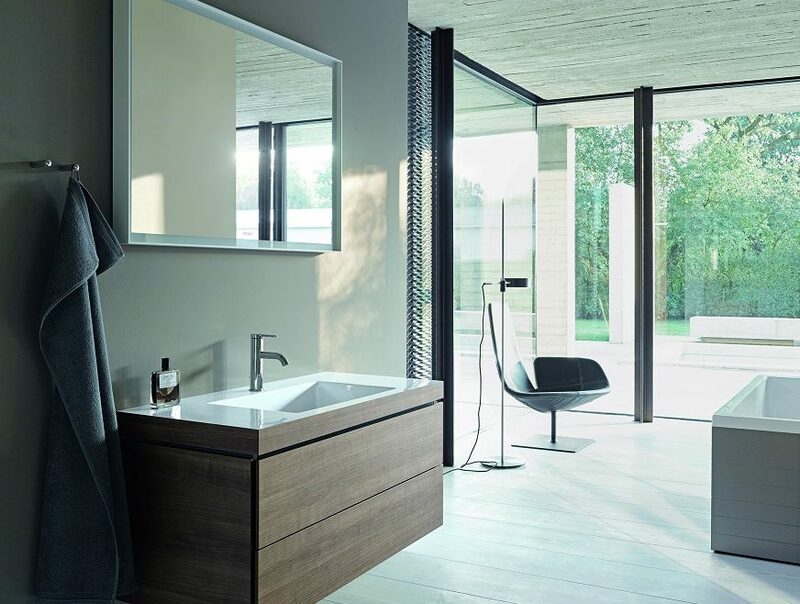 Duravit has succeeded in uniting the strict requirements regarding contemporary bathroom design and optimum use of space: the design by EOOS features a walk-in shower and bathtub in one. The functional versatility of Shower + Bath is a result of the high level of precision in the finishing and the use of the innovative material DuraSolid A. Individual and cut-to-size washing areas with surrounds and storage space are both functional and convenient. The new console system comprises uniform furniture consoles in two different thicknesses (30 and 45 mm) and with a variable width and depth. They can be combined with vanity units and furniture from a total of seven Duravit ranges: L-Cube, Vero, Happy D.2, Delos, DuraStyle, Ketho and X-Large. The Duravit consoles are available with 32 different finishes from high-gloss lacquer, for example in Apricot Pearl or Stone Blue, to real-wood fronts such as oak or walnut. With individual combinations such as a walnut console and discreet, white vanity units, interesting accents can be created. Guest Blog: Youri Sawerschel – is Zoku the next Citizen M? The success of Citizen M, Mama Shelter or Ace Hotel has been watched by the entire industry. As hoteliers around the world are raising their game, we ask ourselves – who will set the new benchmark? We picked the hotel brands that, we believe, have the potential to become the next hits. Discover Zoku. 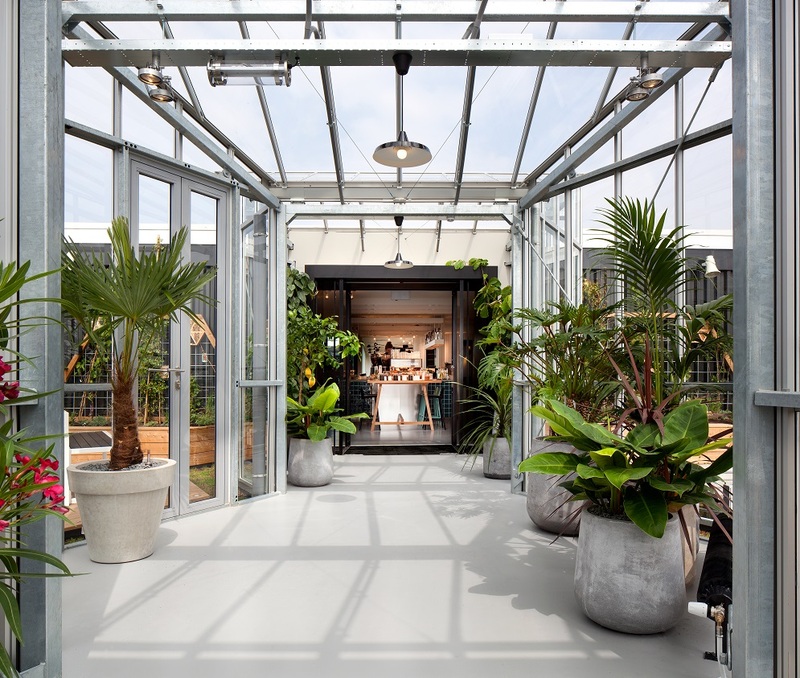 Located in the Eastern Canal District of Amsterdam, Zoku is a new brand that blurs the lines between hotel, apartment and office. We spoke to Zoku co-founders Hans Meyer and Marc Jongerius to understand their vision. To stand out in the dynamic Amsterdam market, the two co-founders knew they needed a good story. “Hotels don’t sell a bed anymore but an emotion,” says Hans Meyer. 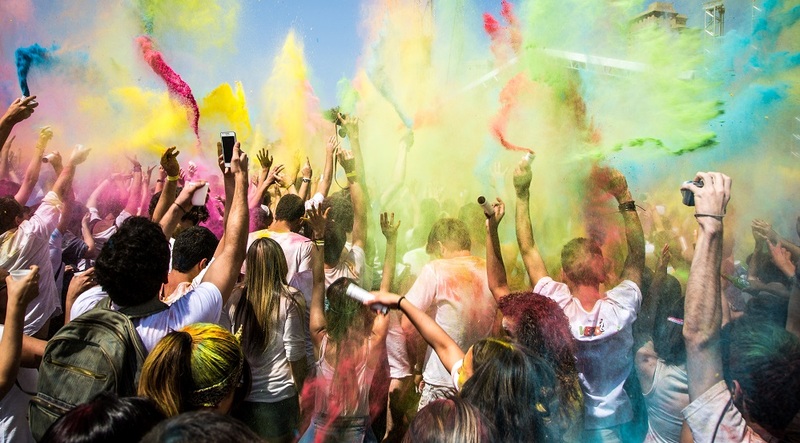 That’s why the brand launched in 2016 with the mission to “connect people and ideas.” To make this position clear from its opening, Zoku partnered with Startup Fest Europe to host the conference attendees and to organise learning and networking events. 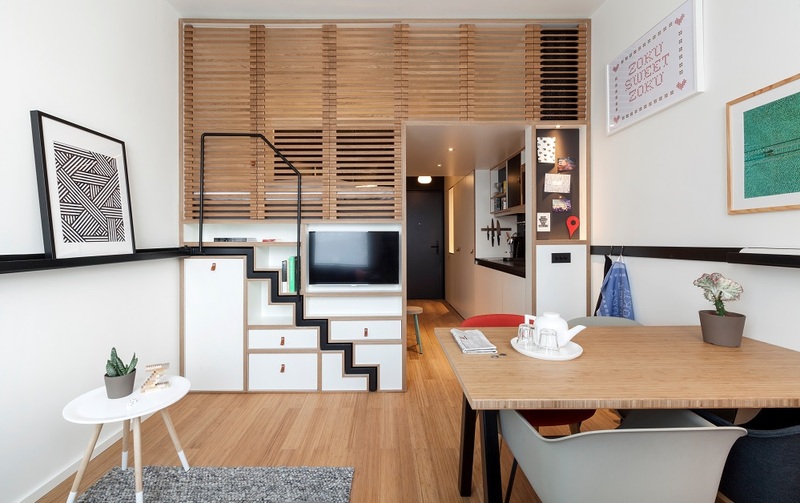 The hotel’s name meaning “family, tribe or clan” in Japanese, Zoku places great emphasis on the common spaces. Everything within the hotel is designed to foster social interactions – From a giant kitchen to communal working spaces and a rooftop garden. The room design is inspired by a functional Asian micro-apartment. It combines a living and a working area in just 25m2 – perfect for long-stay customers. 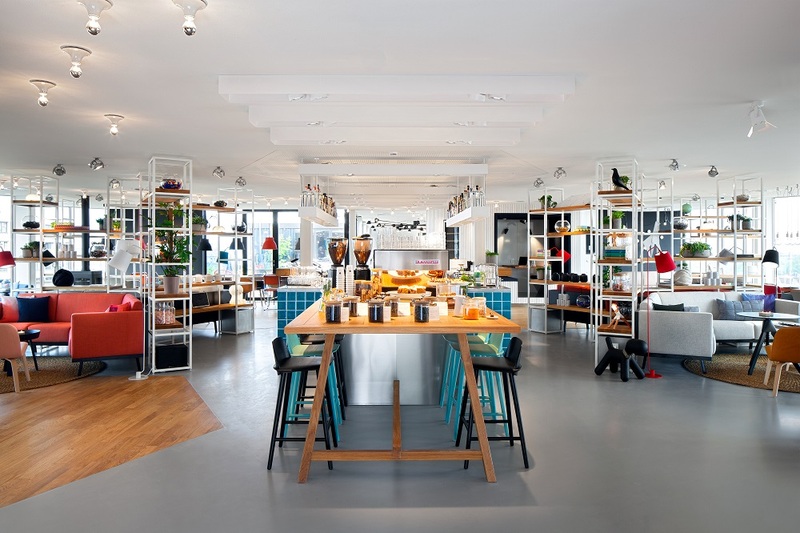 To open 50 new properties in the next 10 years, Zoku relies on a copy-paste approach. Yet, “finding the right balance between standardisation and personalisation is a key concern,” explain Meyer and Jongerius. They are now working on a prototype for the next generation of Zoku rooms. “Beta is our most important value,” says Meyer. Indeed, that sounds more like a tech startup than a hotel company. Originally published on Hospitalitynet.org. Youri Sawerschel is a Branding Expert and Founder of Creative Supply, a strategic branding agency based in Zurich. Every establishment is unique and it is often the little touches that can make all the difference to a guest’s experience. The increasing credibility of travel review sites has made the hospitality market even more competitive, so it is important to stand out for all the right reasons. For many people starting their own hotel or bed and breakfast is like a dream. Most are drawn by the charm of hospitality and see it as a chance to start fresh. However opening a hotel, just like any new business, is more difficult than it might seem at first sight. Especially if you have never worked in the hotel industry you will be faced with many unexpected situations and complications you might not have imagined. The international hotel business is highly competitive and achieving good financial results is not as easy as it seems. In my experience in dealing with entrepreneurs and investors I have found that there is no shortage of creative ideas for innovative boutique hotel concepts. The challenge however lies more in the strategic and organizational areas of the business. Where to get started if you want to open your own independent hotel? What kind of hotel should it be? 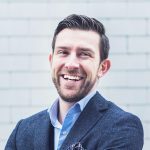 How does location influence my business? How to attract guests? How to control operational costs and run a profitable business? These are all important questions that should be dealt with prior to getting into the business. It will be extremely important you prepare yourself well, do a lot of research and develop a detailed business plan to ensure success. Unfortunately I still see too many startup hotels fail due to little planning. In my previous articles I already pointed out some common mistakes made in the pre-opening phase of hotels. 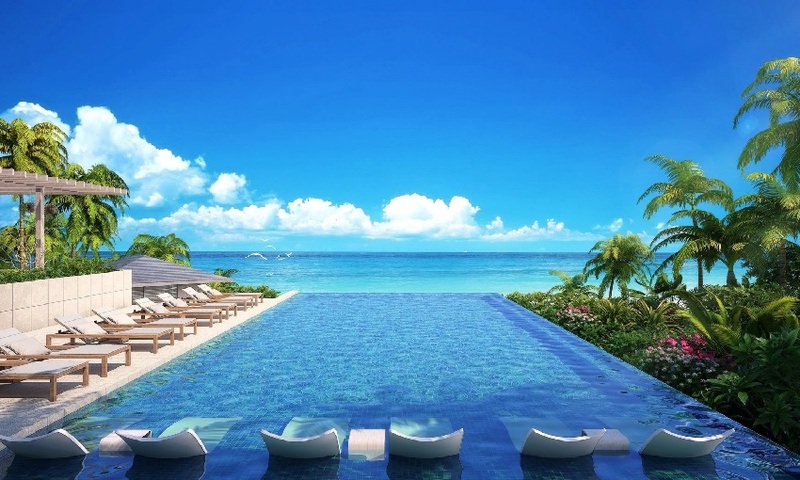 I hope these tips will help fellow entrepreneurs start successful new hotel businesses! Italy has an ever-appealing charm – the food, the passion, the beautiful coastline and incredibly historic cities, the architecture and of course, the landscapes. For centuries, Italy has attracted holidaymakers, and continues to do so today, making it almost a sure thing for hotel developers. One of the more recent hotel projects to open was the La Bagnaia Golf & Spa Resort Siena, a luxury 5-star development branded under Curio by Hilton and situated close to the picturesque town of Siena, known for its medieval brick architecture. The 101-key hotel, resort and golf course allows visitors to take advantage of the serene setting while playing golf or indulging in the swimming pool set within the idyllic grounds of the hotel. The resort is also equipped to handle large events and conferences. The ultra-modern La Lama in Rome is currently under construction and set to open in the second quarter of 2018. Nicknamed “The Cloud” because of a nebulous structure in the interior of the hotel, the 409-key luxury new build complex will house a 5-star hotel as well as an 1,800 seater auditorium for conferences and events. The complex will be built with sustainability in mind and incorporate modern technologies in its construction and design. IHG is in the process of building their first hotel in Venice, the InterContinental Venice – Palazzo Nani. Under construction at the moment, the new 51 room luxury hotel will be house in a converted 16th century palace, which will be refurbished to the highest standard, keeping the palace’s stunning ceiling frescoes and hand-carved wooden beams. Set to open at the beginning of next year, the hotel will also have wellness facilities and corporate spaces. More information on hotel construction in Italy can be found on TOPHOTELPROJECTS. Our industry constantly yearns for innovation, with each hotel brand and independent operator seeking ways in which they can differentiate themselves to gain their own unique space in a very crowded marketplace. However, ‘out of the box’ thinking must always be balanced with economic pragmatism. Ultimately, hotels, as a real estate asset class, are challenging. Any investment risk must be justified by the requisite financial rewards. Hospitality industry experts first started talking about brand proliferation in the mid-1990s. Over the years, we have seen a torrent on independent innovators and brand extensions from the major operators. Indeed, today, the big six hotel companies hold an incredible 90 brands between them. With such saturation in the marketplace, our clients are asking us one key question: How can we differentiate to get ahead? Trends of the last five years include themes such as the rise of ‘localised’ design, trendy independent ‘lifestyle’ hotels and animated public areas. But what concepts are currently on our drawing boards at integrated hospitality design firm, WATG, that will be entering the market in the next few years? Hospitality trends and influences: A healthy obsession Across the generations we have become preoccupied with our personal wellbeing – boomers strive to hold back the ravages of time, millennials aim to optimise their personal fitness. Our lives are jam-packed with wearables, apps, healthy-eating blogs, fitness mash-ups and endless pop-ups to lure us into the belief that if we become disciples we can live forever. Yet, the hotel sector, with a few notable exceptions, lags behind such innovations. Hotel fitness facilities remain largely traditional in nature. This has to change. That said, we do have some interesting brand combos and extensions happening. Equinox, the high end fitness operator is moving boldly into the hotel arena with its first property opening in New York in 2018. Likewise, 1 Hotel Miami Beach has teamed up with Soul Cycle to offer popular spin classes’ at the hotel. But as consumers demand more bespoke fitness and wellness routines and a more experiential approach to the tedium of exercise, hotels and resorts will need to become more experimental and absorb some of the entrepreneurial ideas spinning around the fitness and beauty market. We do not see a future of robot services and virtual reality experiences. Technology is expensive and quickly becomes dated. First-class hospitality will always require the ‘human touch’. 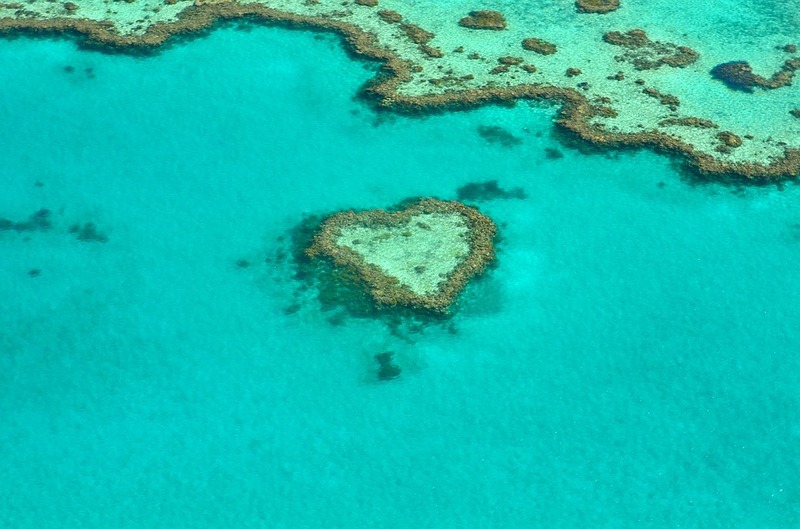 Particularly true of resorts, consumers will increasingly seek to reconnect with nature, spend quality time with loved ones and return to ‘the simple life’. These principles are driving our designs of late; a return to analogue rather than digital. That said, there will of course be ways to utilize technology to enhance the guest experience. But we see these as subtle touches, rather than drastic interventions. We experience ever-growing pressure, from both developers and consumers, for environmentally responsible and ‘resilient’ hotels and resorts. Many land owners we work with have a genuine commitment to stewardship, and we see this as integral to the enduring success of a project. Therefore, we must stay ahead of the curve regarding new construction techniques, the create reuse or ‘up-cycling’ of materials, and landscape design innovations that will help us deliver low-impact, yet beautiful hotels. In essence, we see our role as a master-craftsman of destinations, rather than ‘just another design firm’. The trend away from the cookie-cutter hotel experience will gather pace. Developers will progressively ask us to define niche hospitality concepts. These will be bespoke to the demands of very specific and evolving target markets. Design concepts will focus increasingly on generational consumer and technology trends and the nuances in habits of specific geographic source markets. Unique, tailored hotel concepts tend to gain industrywide attention and despite their targeted strategy, often end up as part of the mainstream. 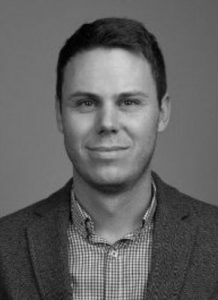 Rob Sykes is a Senior Associate on the global strategy team with WATG. This article consolidates the thinking of WATG’s design teams in London and Singapore, covering architecture, interior design and landscape. WATG designers Tony Menezes, Kevin Scholl, Nicole Hammond, John Paul Pederson, John Goldwyn, Edouard Gillon, Christine McGinnis, and Tom Williams took part in the two cross-functional working groups, along with Rob Sykes. WATG is a leading integrated design firm, ranked second in the world among hotel architectural firms. WATG’s interior design firm, Wimberly Interiors, was ranked 10th by Interior Design Magazine in their 2016 Hospitality Giants survey. The main aim of all hospitality establishments is to form lasting impressions and ensure a trail of happy guests, since there’s no possibility of success without satisfied customers. Making guests happy, as we all know, is a difficult task indeed. When they stay at a hotel, people expect everything to be perfect – inside and out. They will notice even the smallest detail, and most of them tend to be extremely picky. 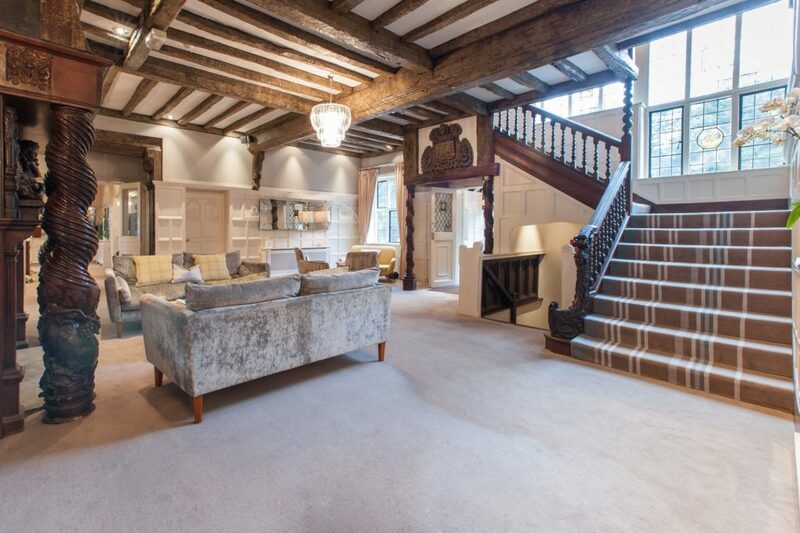 Interior design plays a huge role in the impression they take away, so you need to get everything just right. Start with what they notice first, which is the flooring and carpets. Not only does the right flooring and carpeting attract people’s attention, it can also help make them feel more at ease. Beautiful floors and comfortable carpeting can improve guest satisfaction, which in turn affects your class and star ratings, review scores and reputation. This ties in to room rates and ROI, impacting your profitability. Many of these materials are often accentuated with area rugs, which can be used to separate and define a space by adding visual and textural contrast. 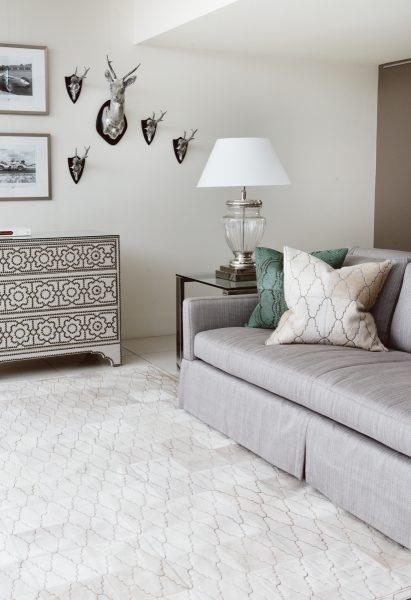 Patterned rugs are often used in high-traffic areas, while cowhide rugs can add warmth and sophistication to lounges, guests’ rooms and lobbies. • Aesthetics – Just like the other four walls in any area, the floor or “fifth wall” needs to please the eye as well. Floors should look luxurious, and complement the rest of the décor and design elements within each space. 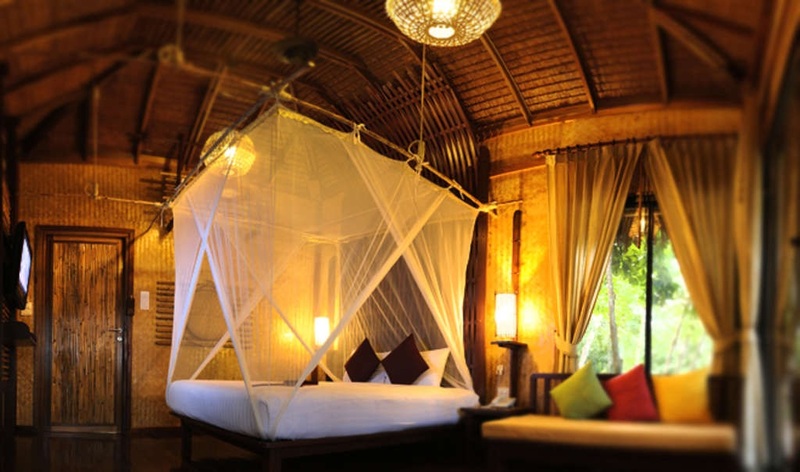 • Comfort – People want to be pampered in a hotel, with the most restful beds and cozy furnishings. Soft hide rugs or plush carpets can help them feel even more comfortable, and add a touch of warmth to any space. • Safety – Floors and carpets should not be slippery if they are exposed to water, dust, etc. Make sure to take the viscosity and slipperiness of each material into account, especially in bathrooms and near exterior spaces. • Acoustics – Carpeting plays a key role in reducing noise within an interior space, and can help to soften sounds within a room as well as from adjoining rooms. This creates a more peaceful and relaxed atmosphere for guests. • Durability – Hotel floors see a lot of traffic, and they need to be created with durable materials that will last. Remember, it’s not just foot traffic from guests and staff you need to think about, but also trolley wheels and other heavy items. • Maintenance – Spills, stains and dirt are bound to send guests packing, so easy-to-clean flooring and carpeting is best. Certain designs also hide stains, while materials such as animal hide or leather are very easy to clean. • Branding – Flooring and carpeting can also emphasize the concept and brand of your establishment. For instance, animal hides and rugs paired with wooden or marble flooring add a distinctive touch to luxury hotel interiors. 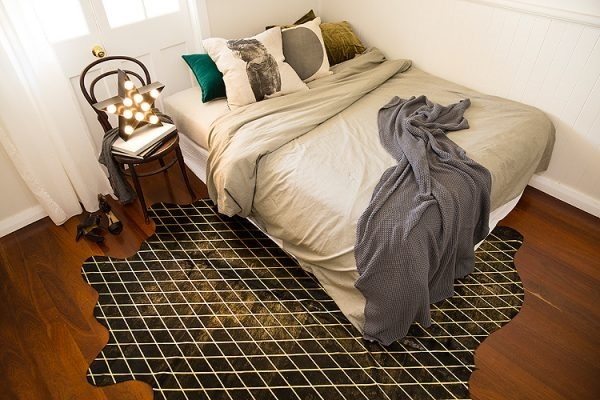 • Cost – The flooring you choose should fit your design and installation budget, but trying to cut costs with cheaper options could do more harm than good. If you want your flooring and carpeting to last, invest in quality materials. Choose materials that add value to your interiors, boosting both visual appeal and comfort. 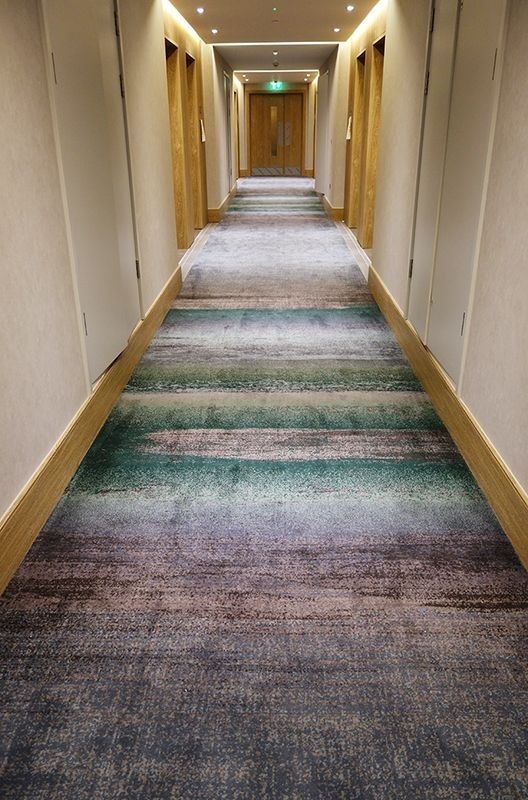 Carpeting and rugs are a great way to enhance rooms and leisure areas, but they’re equally perfect for cheering up hallways, receptions, foyers and entrances. For a sense of luxury, try cowhide rugs or other natural materials. Your hotel needs to look beautiful, luxurious and inviting right from the moment a guest steps in, so give the floors some attention too! Caroline Modig works at Art Hide and oversees their marketing and promotional efforts. Her passion for interior design and the knowledge she gained over the years allows her to find time from her busy schedule to write informative blogs about interior trends, popular styling tips and everything related. When she isn’t working or writing, you can find her relaxing to some contemporary jazz while solving puzzles. Bathrooms have come a long way from just plain, white spaces used merely for wash-and-go. Its design, layout and overall look have changed and improved dramatically over the years. They are not just merely bathrooms; they became a space for comfort, where we satisfy our senses and spend more time in stylish comfort. As 2016 came to a close, many home and hotel owners saw 2017 as the year to refresh or redesign their bathrooms. With new trends emerging every year, what colours, design or materials can we expect to trend in 2017?